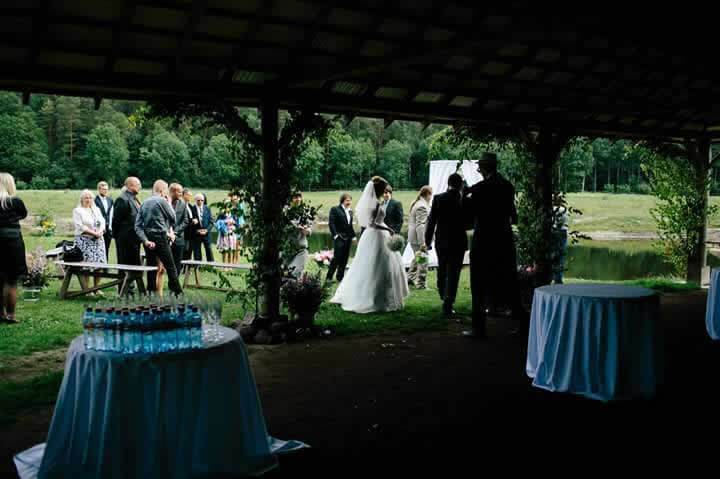 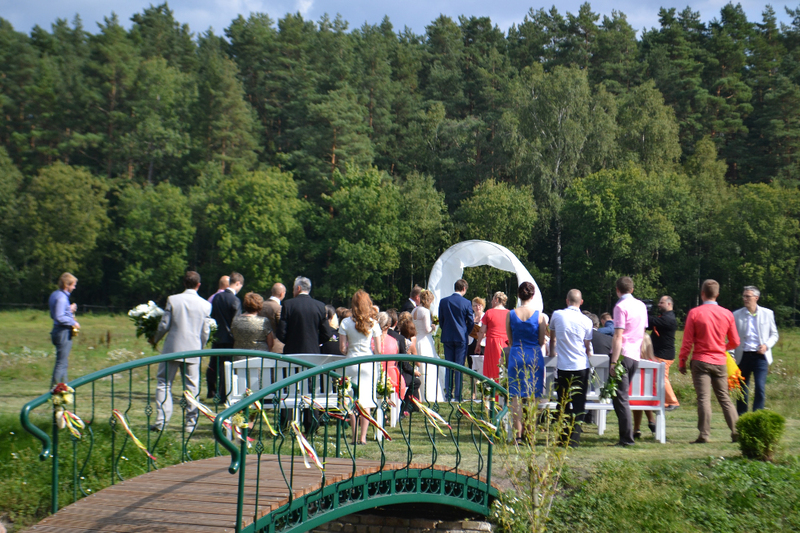 We offer an island for wedding ceremonies and a place for unlimited number of guests. 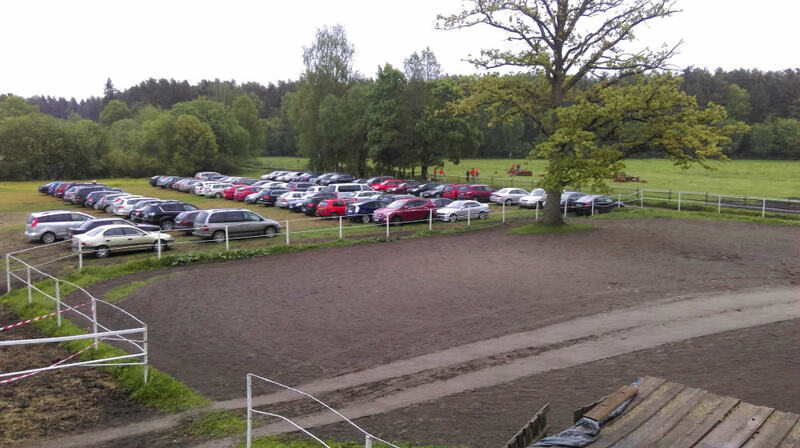 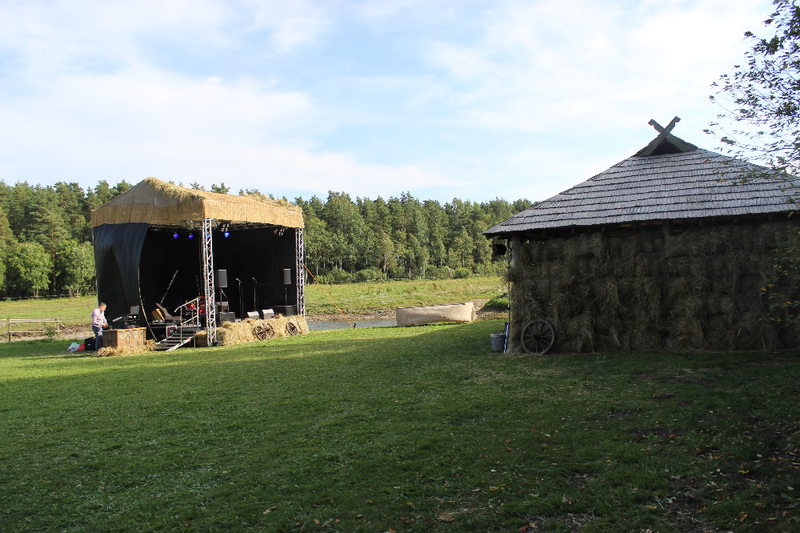 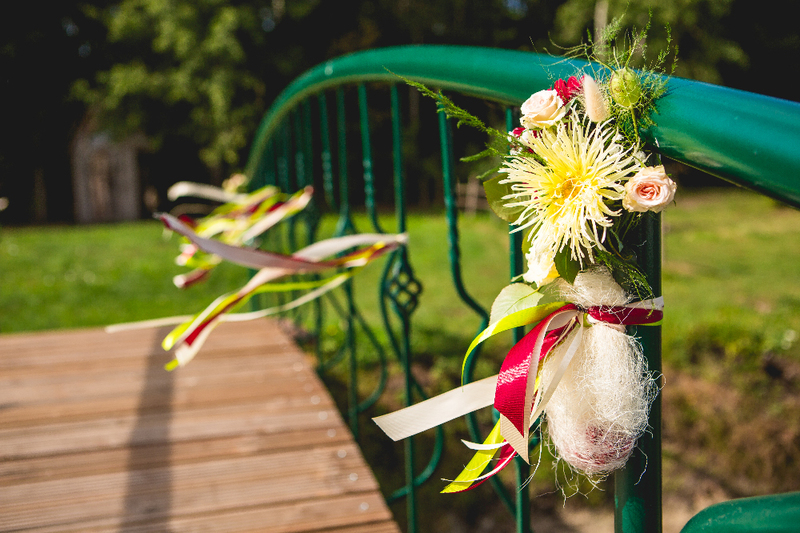 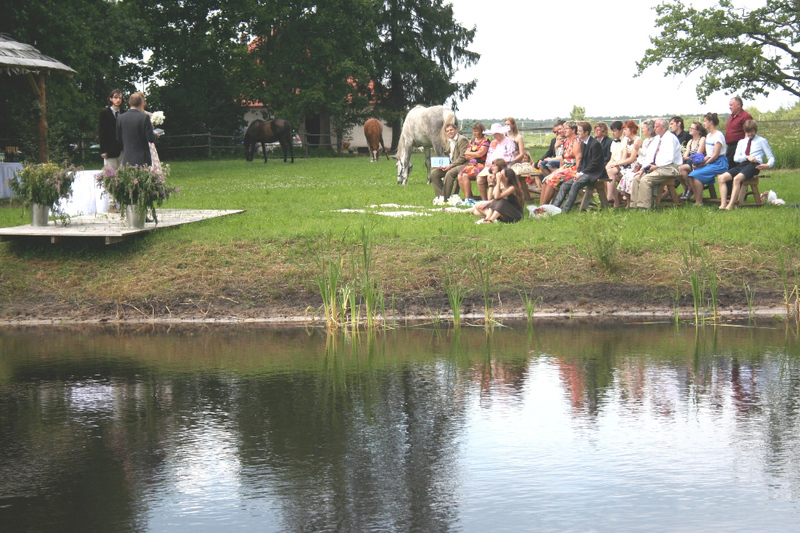 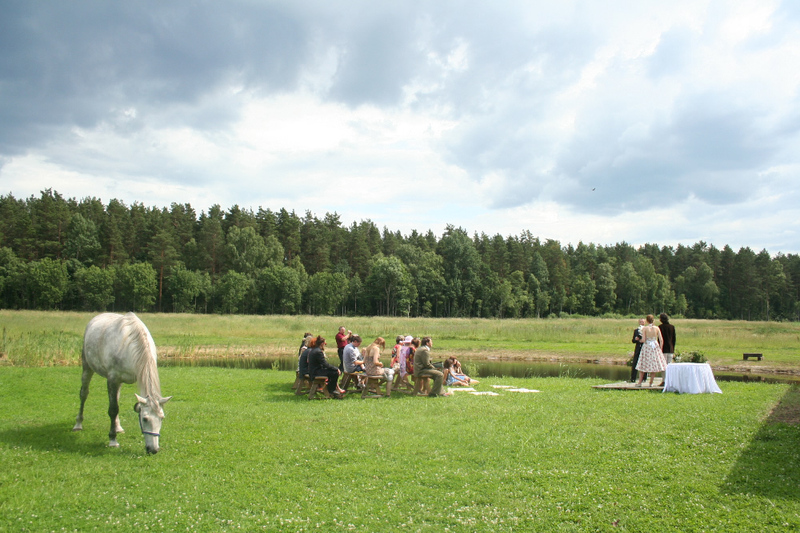 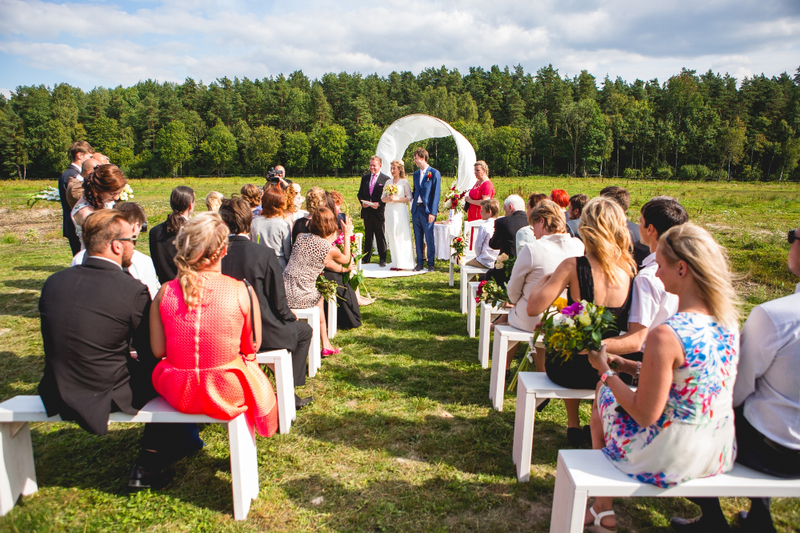 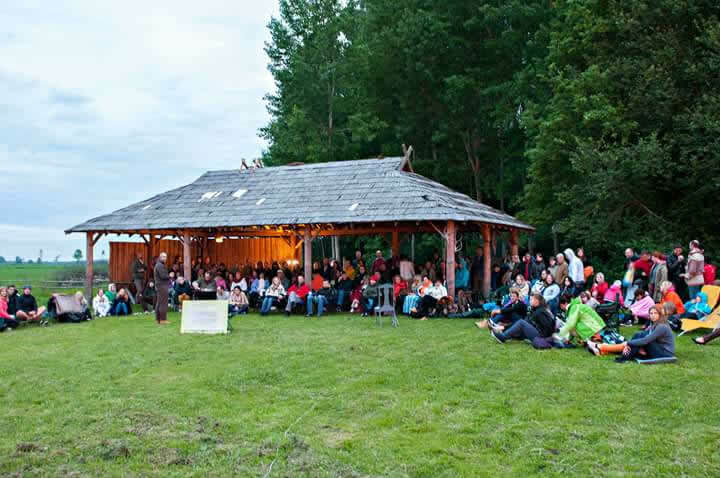 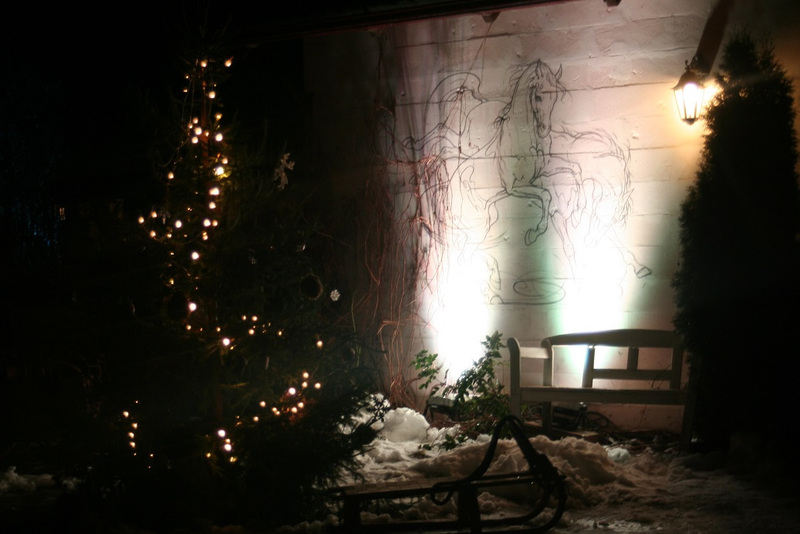 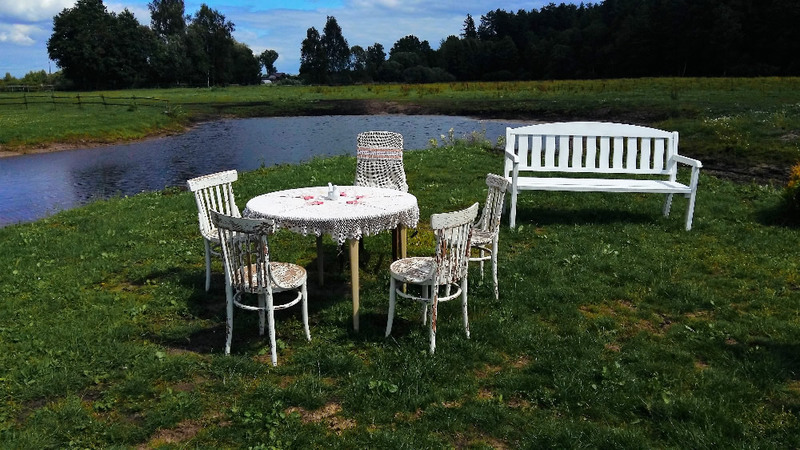 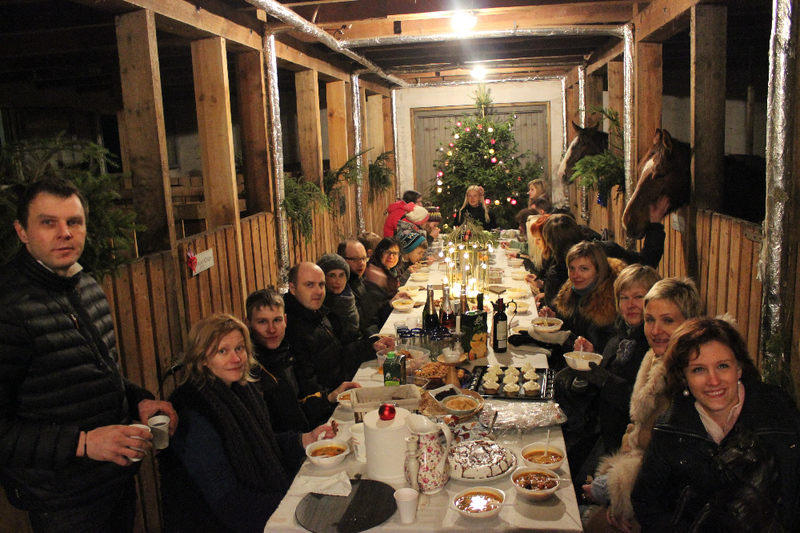 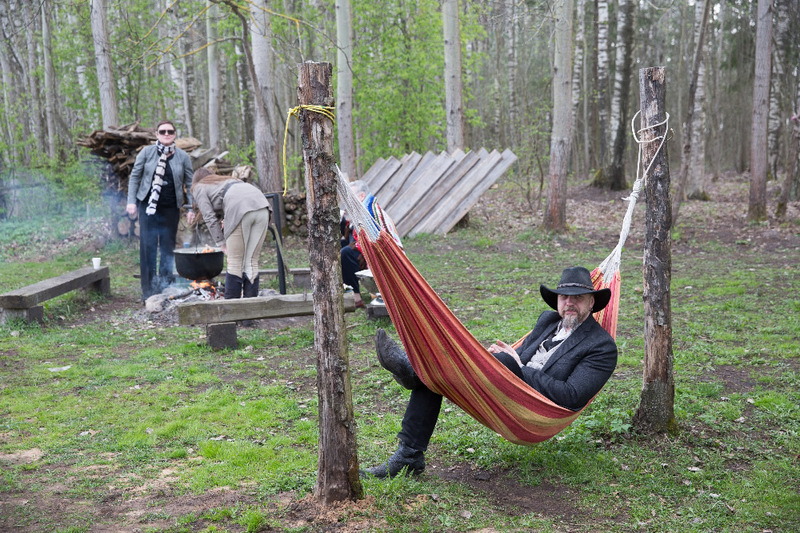 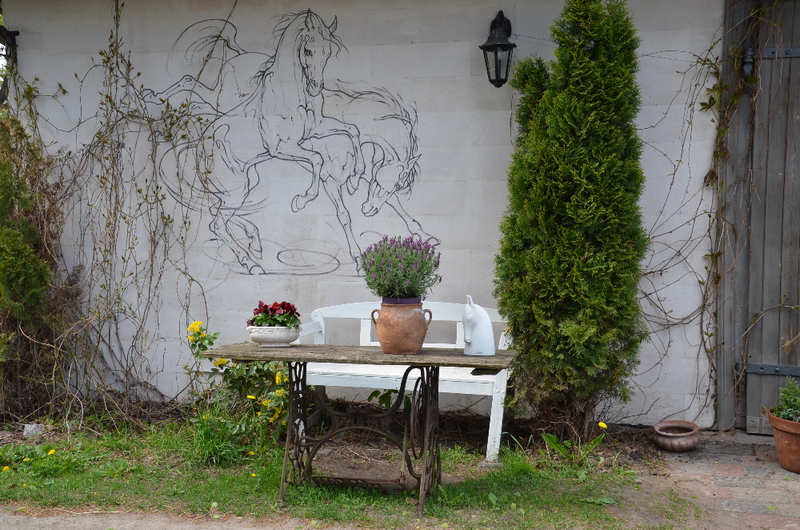 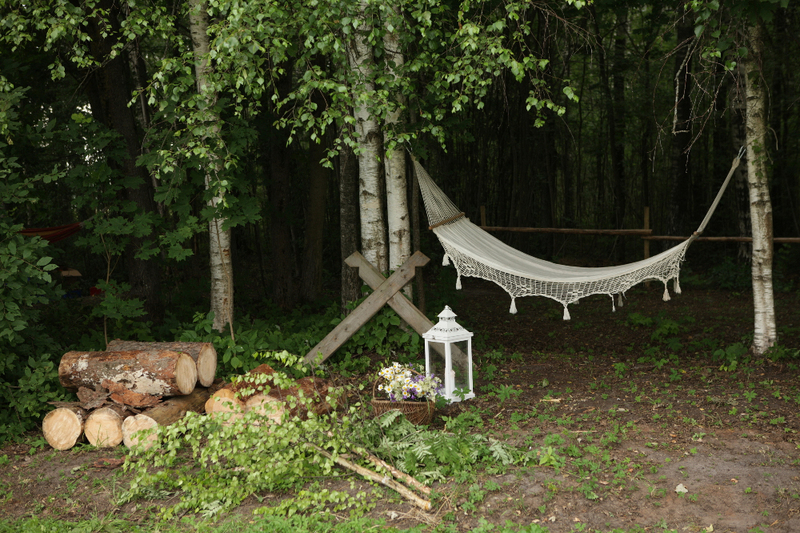 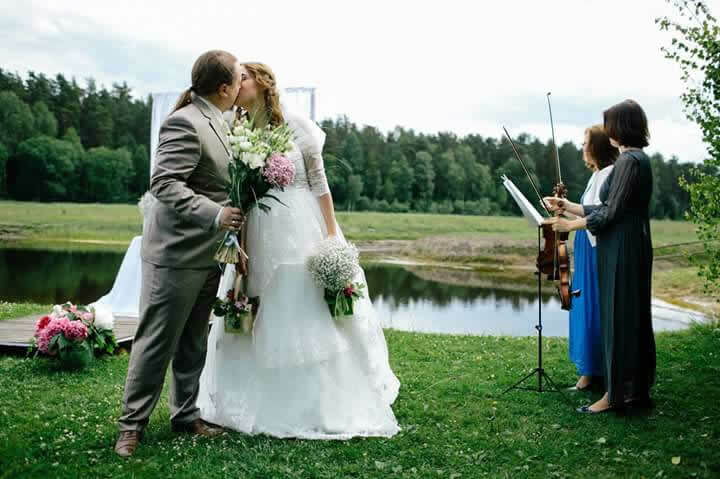 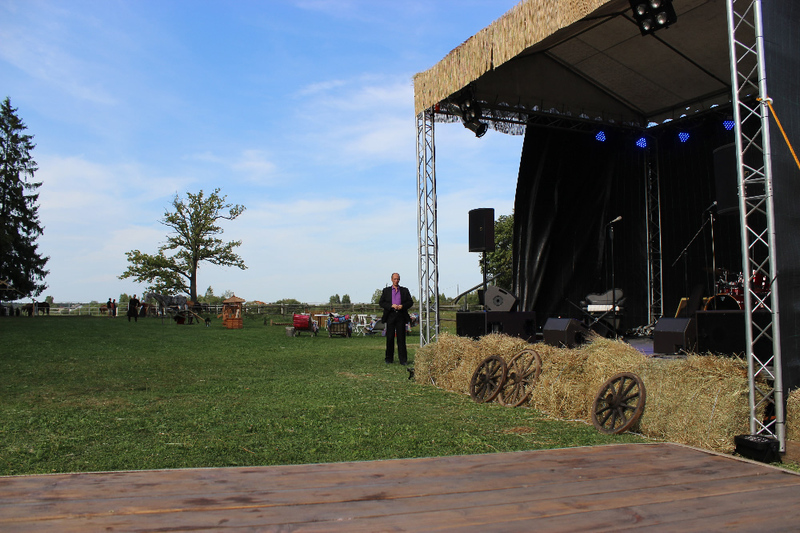 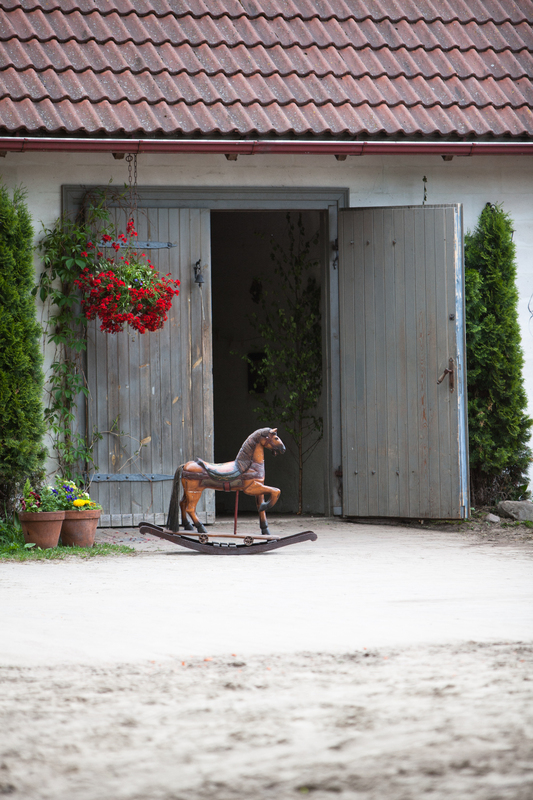 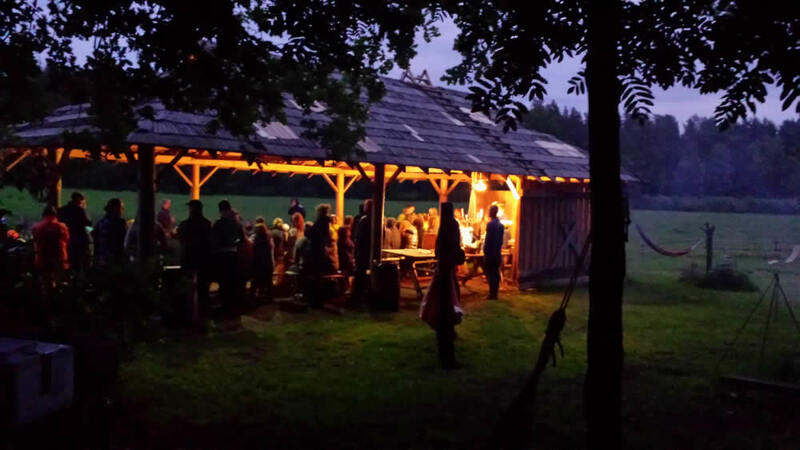 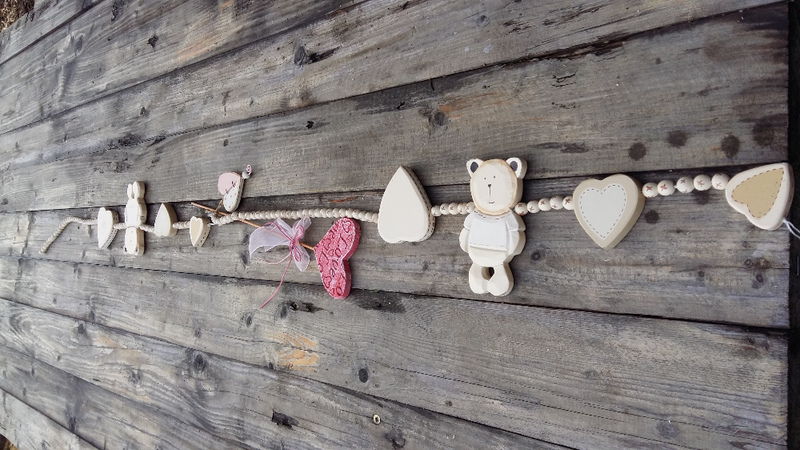 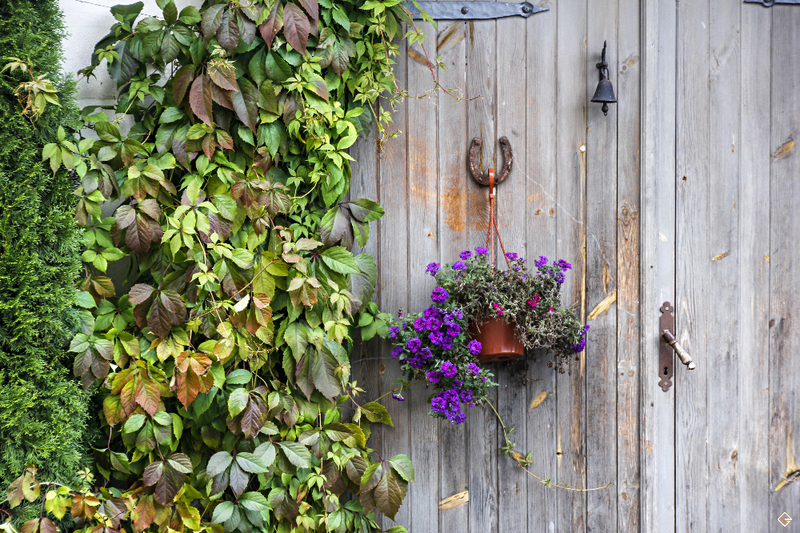 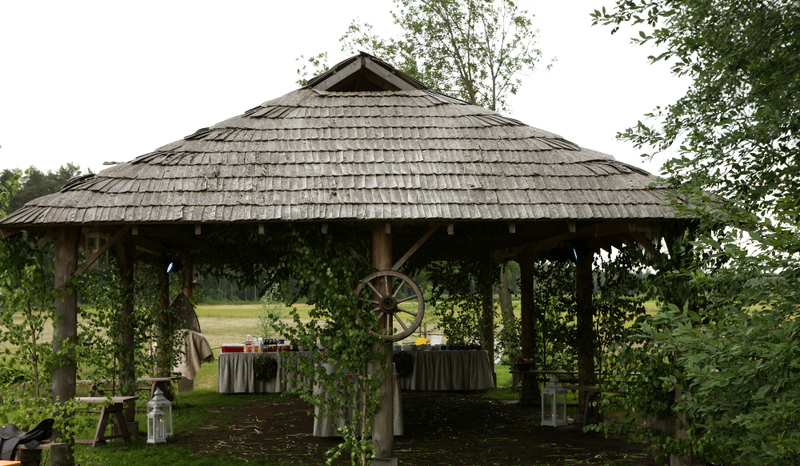 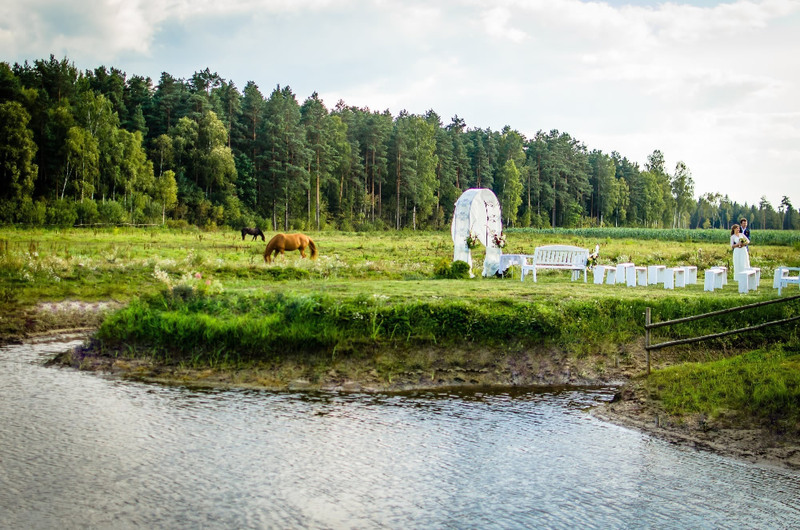 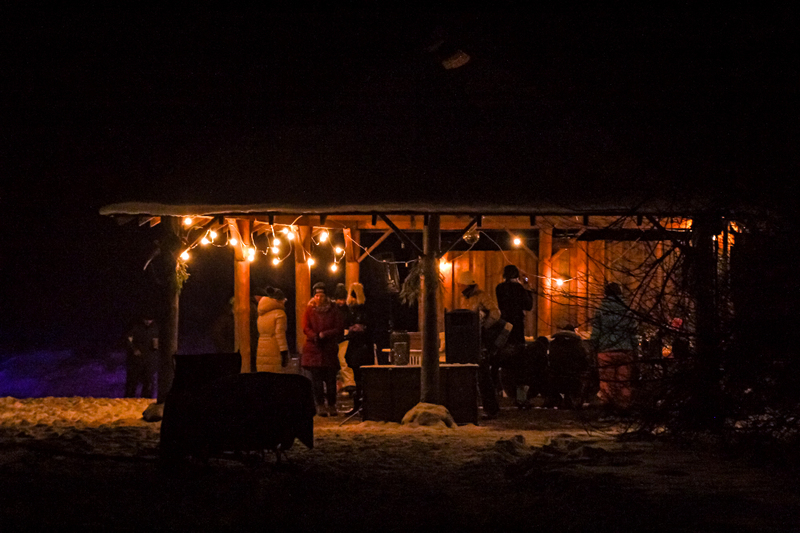 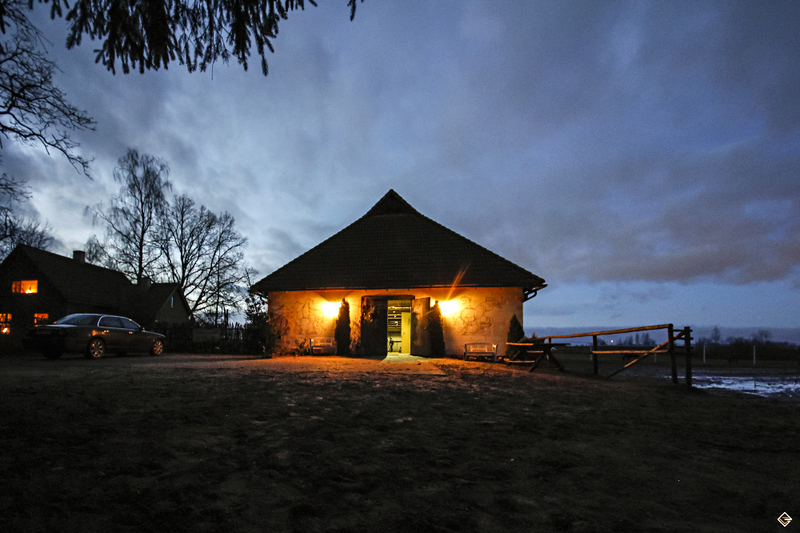 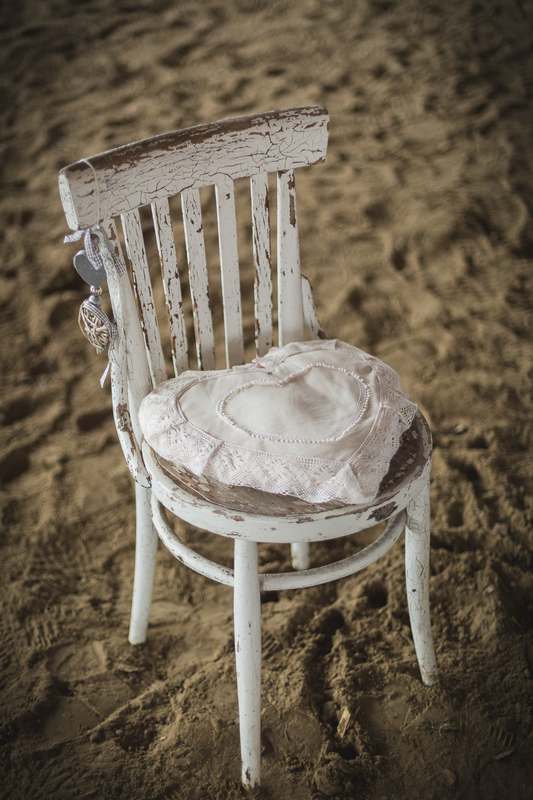 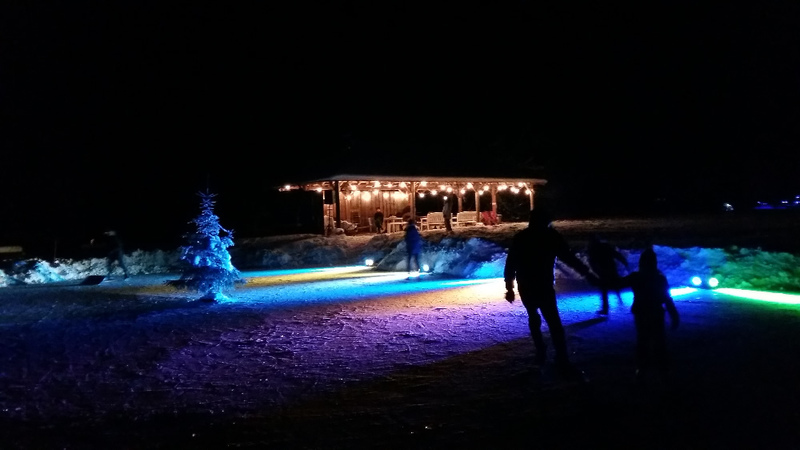 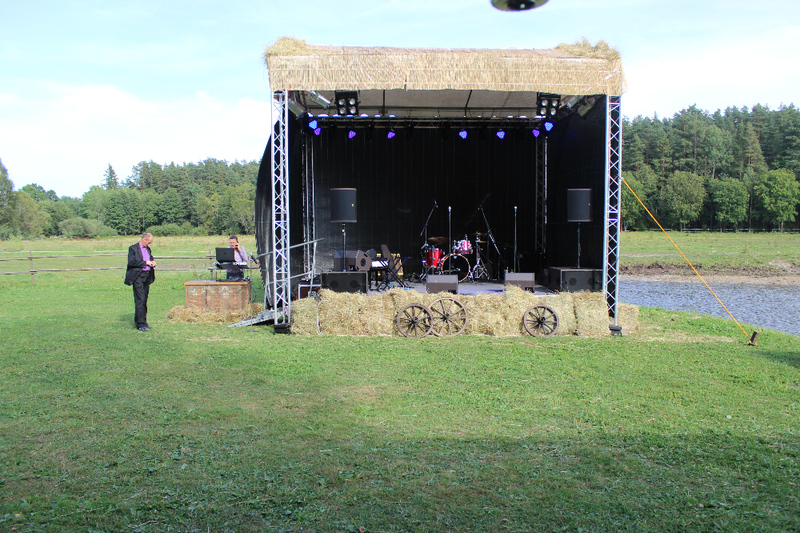 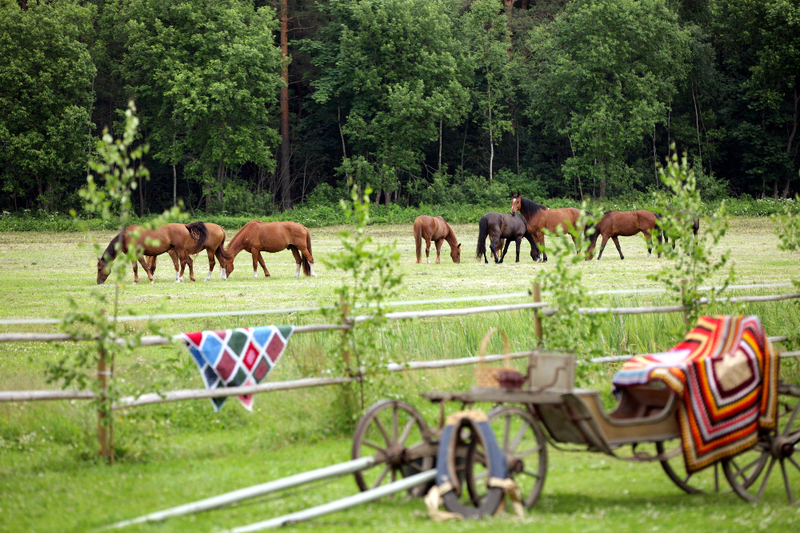 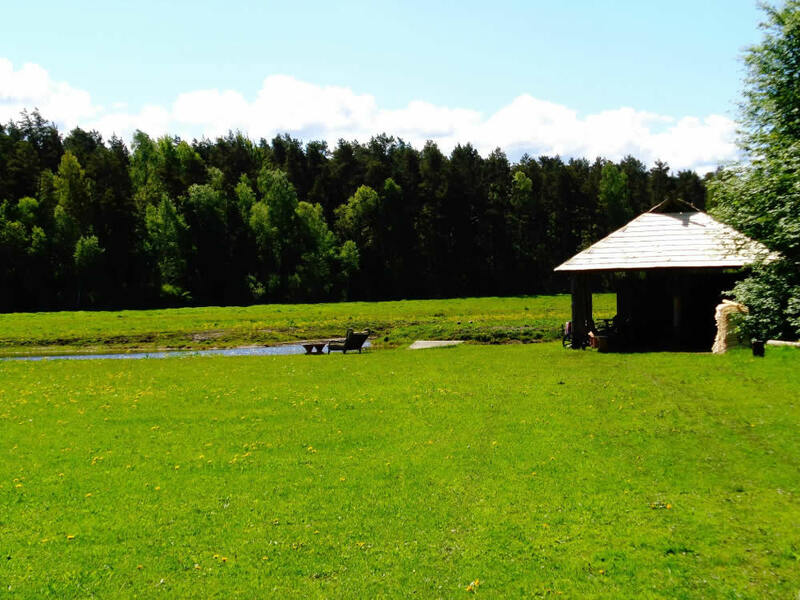 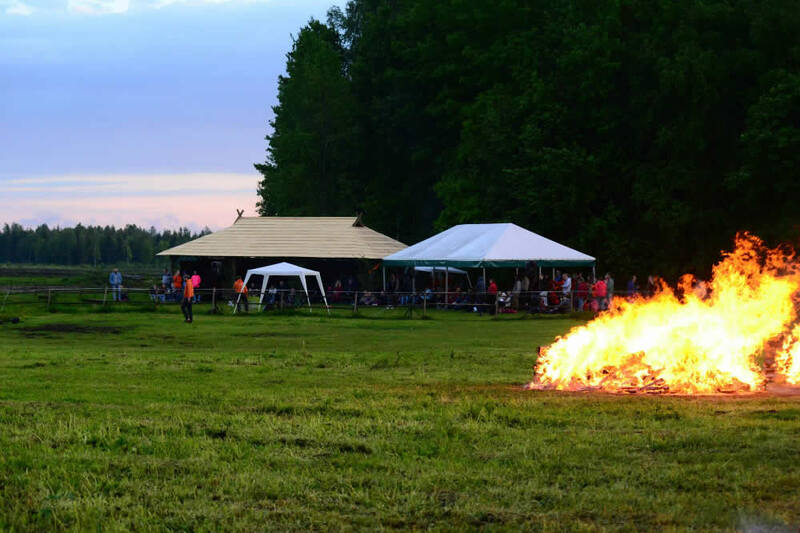 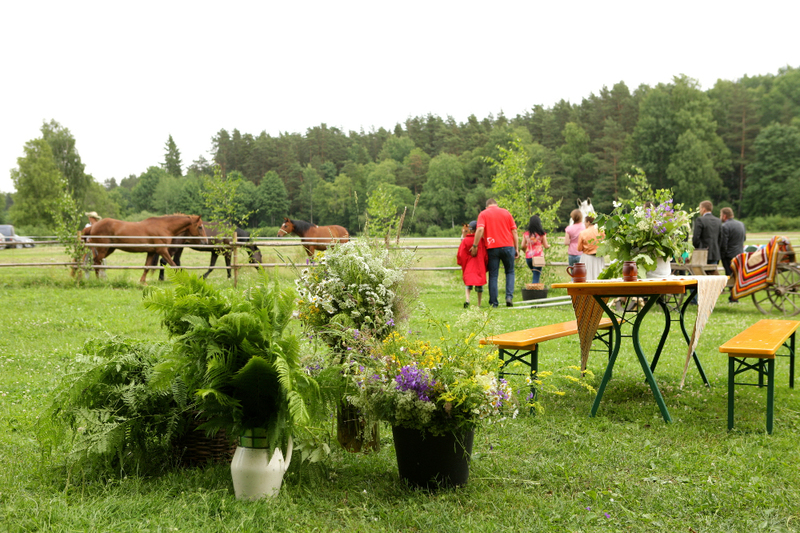 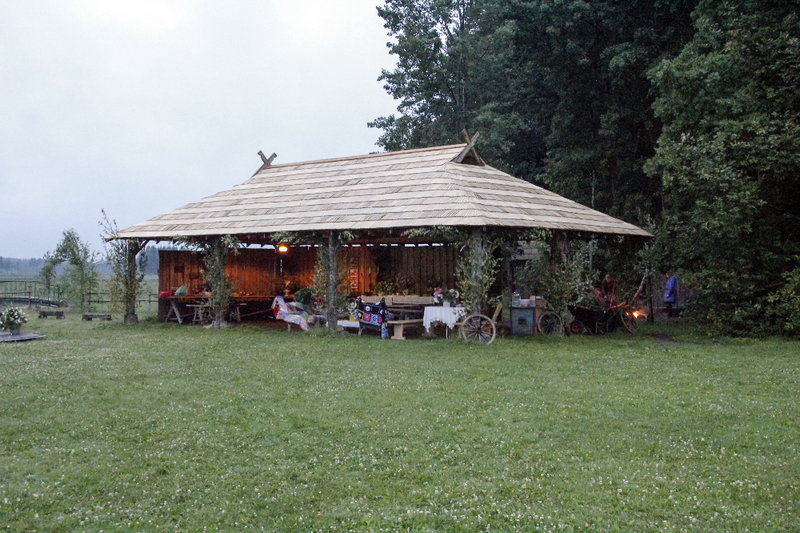 We have a very exclusive celebration place- only 14km away from Riga center you can feel the country feeling. 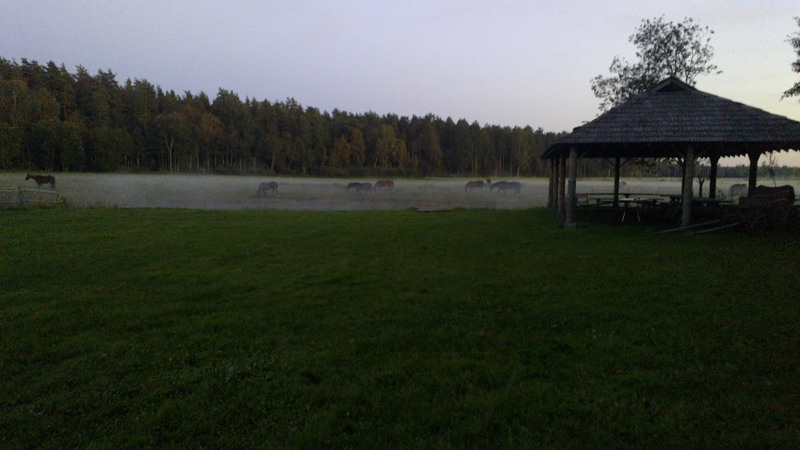 Horse herd that you will see on the other side of the small lake, storks walking around and other beautiful birds singing. 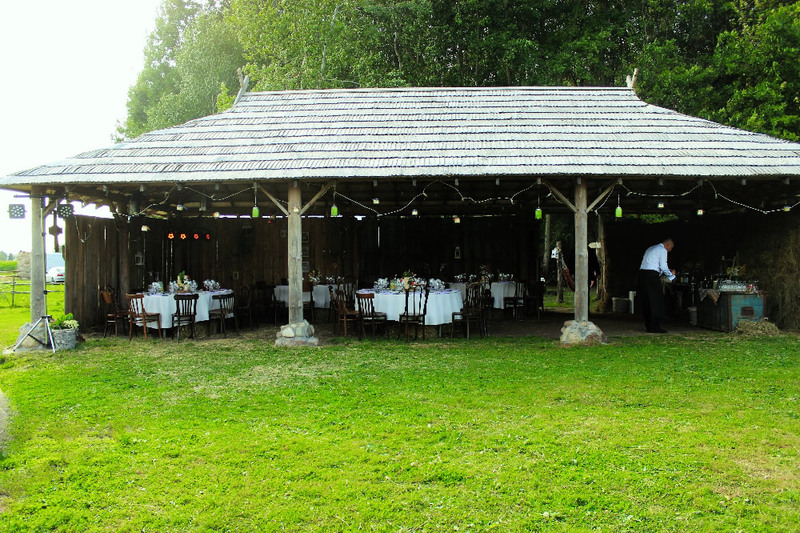 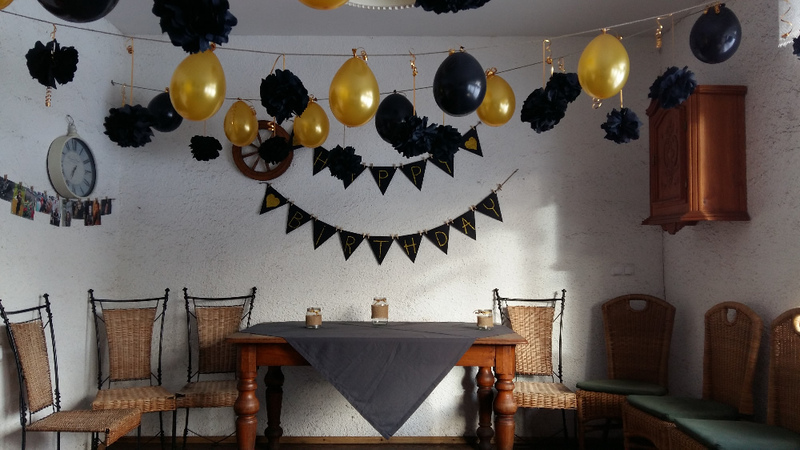 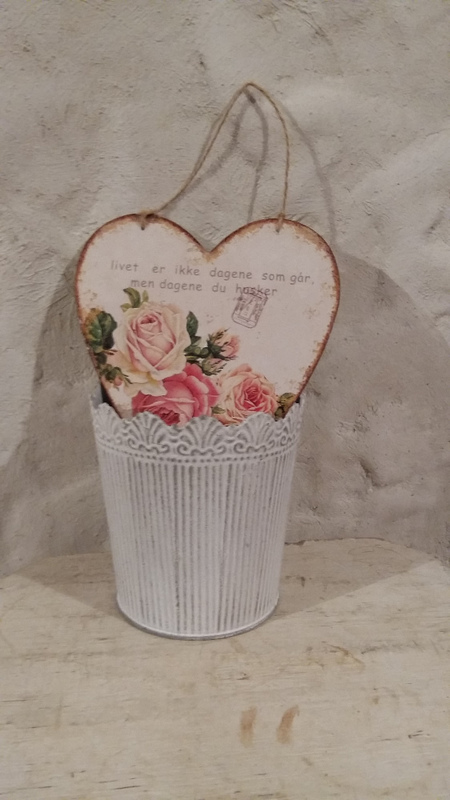 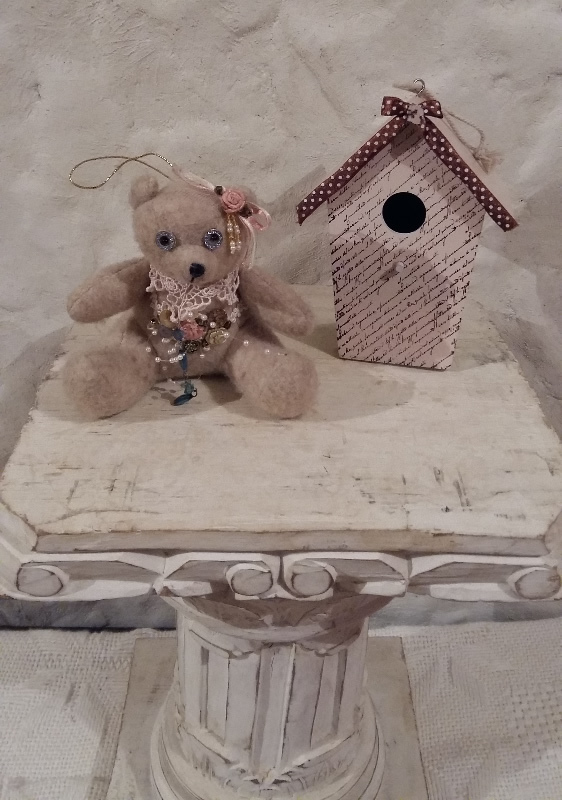 You will love the peaceful feeling, that our place will bring to your occasion. 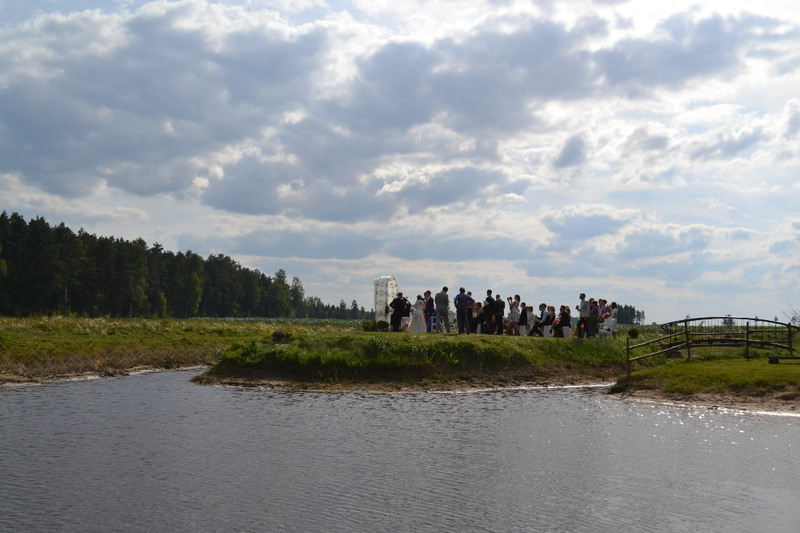 It is also a very good place of photoshoots, because there are no industrial buildings and houses that could ruin the picture- just nature. 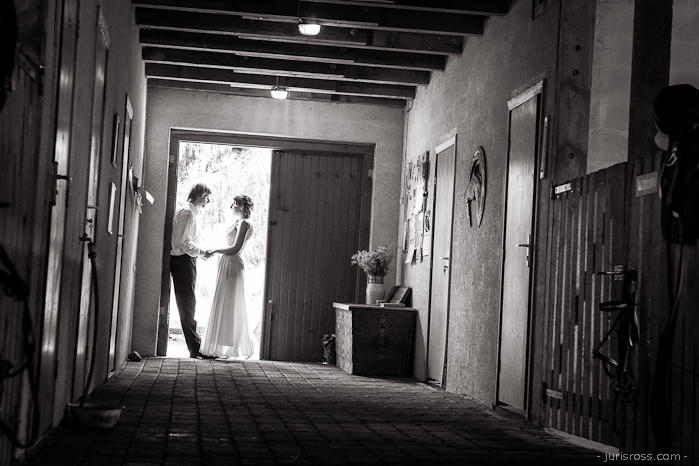 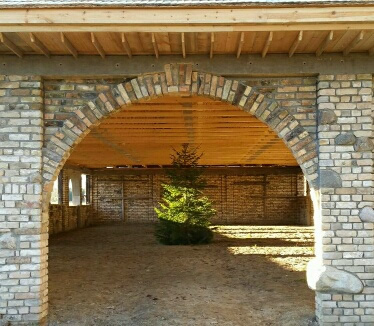 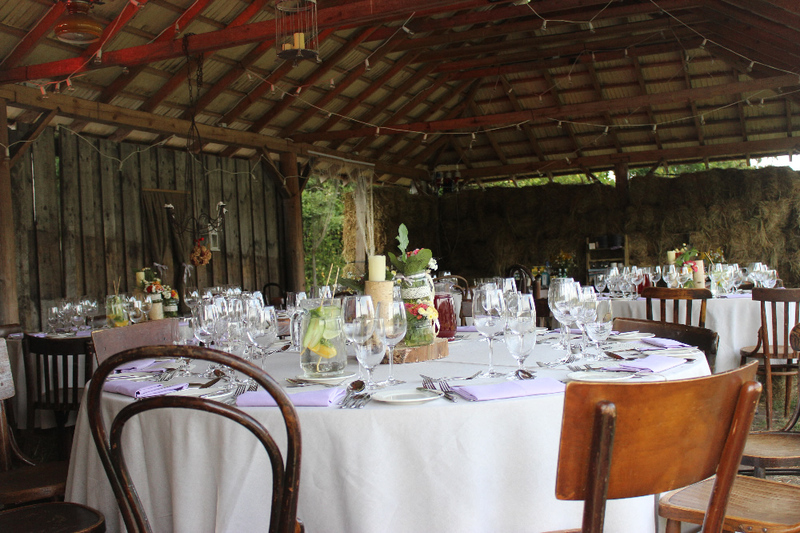 For wedding needs, and not only, we have a rubble masonry building (300m²) and a bower (100m²). 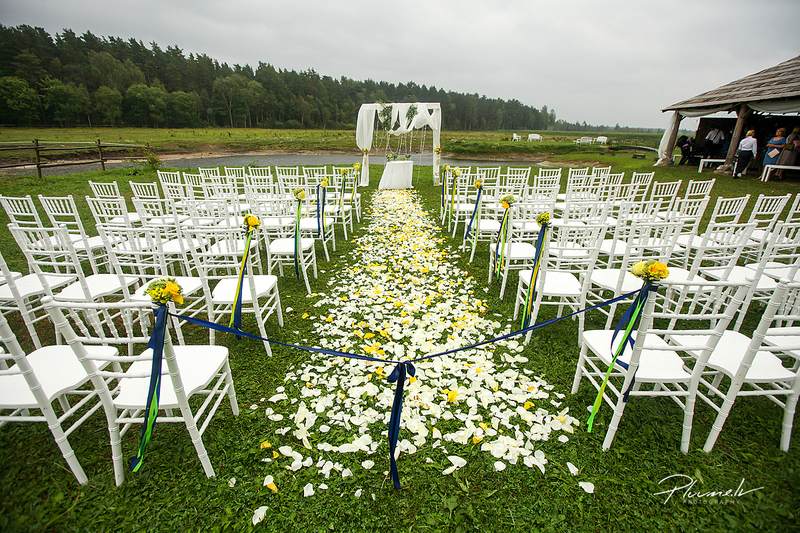 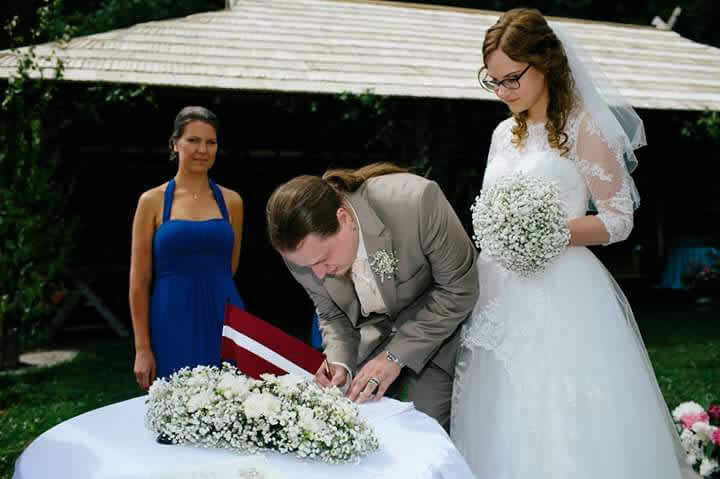 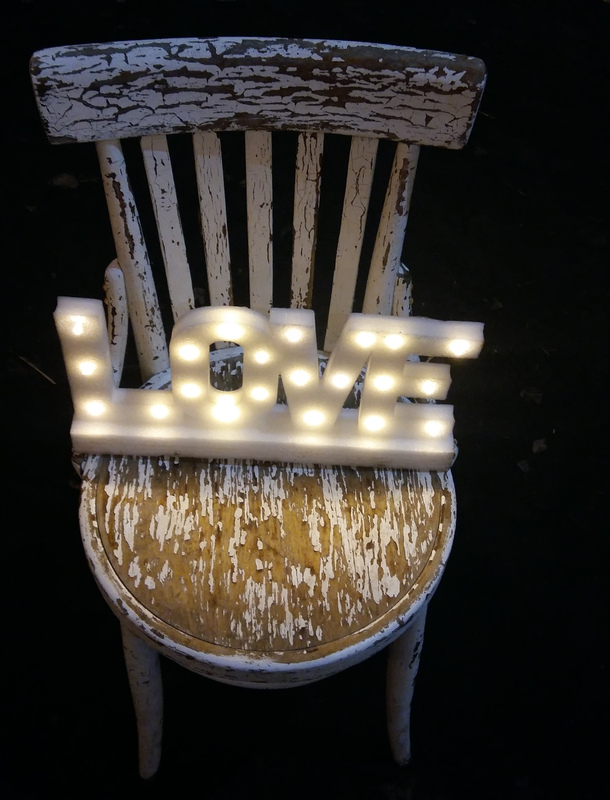 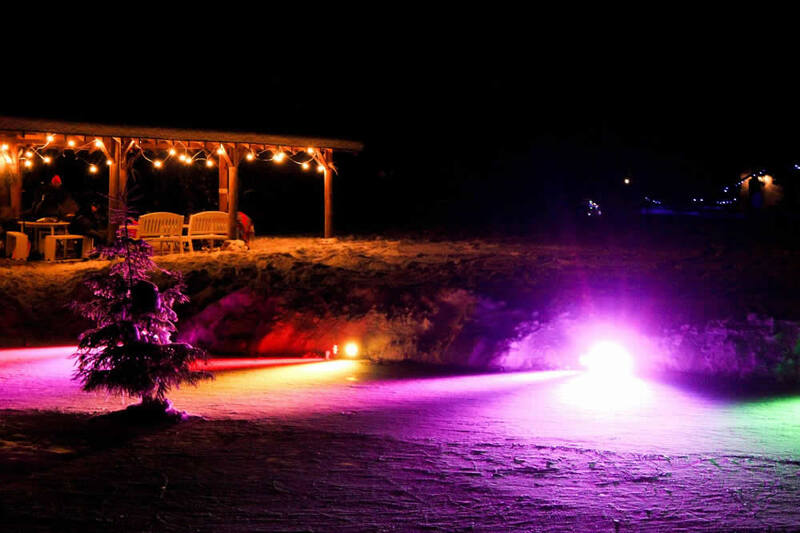 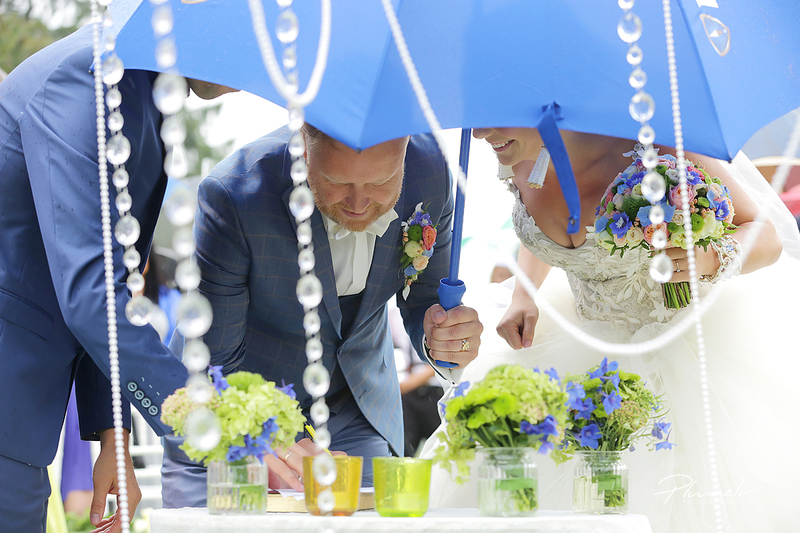 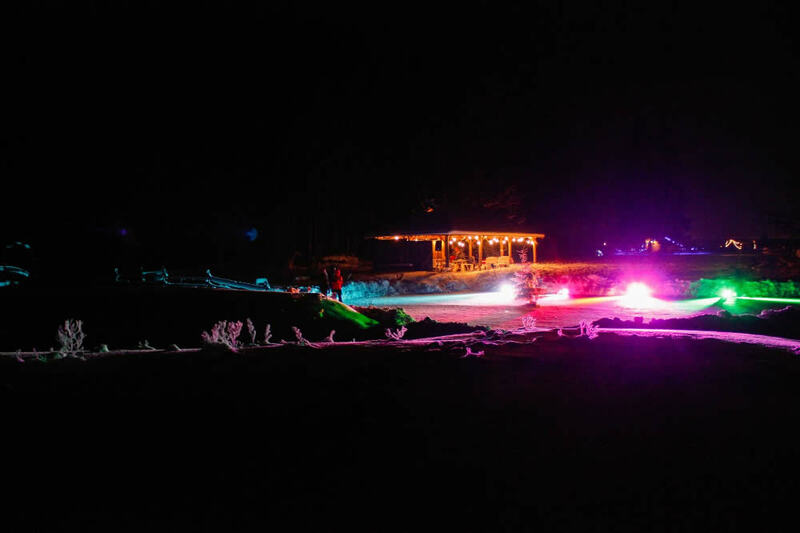 So if you are organizing wedding outdoors, you don’t have to worry about the weather. 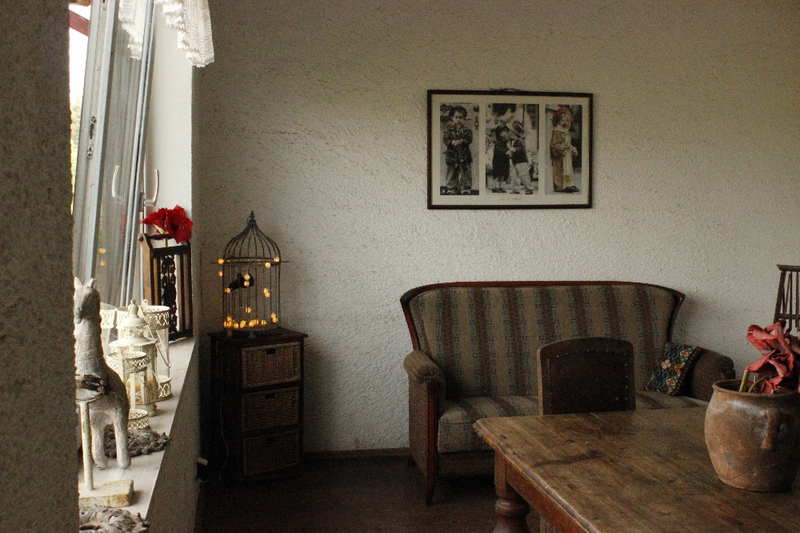 Just around the corner there will be a place where to hide form the weather. 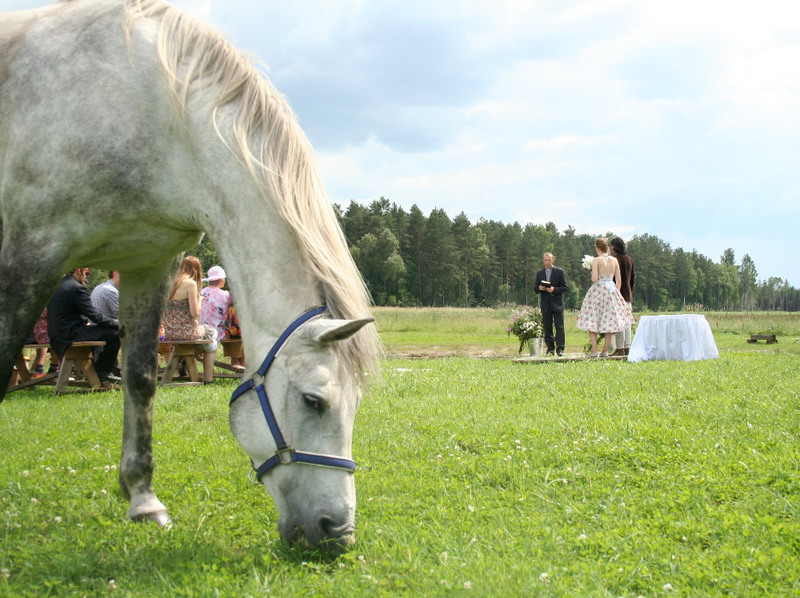 Also all wedding guests don’t need to worry about transport. 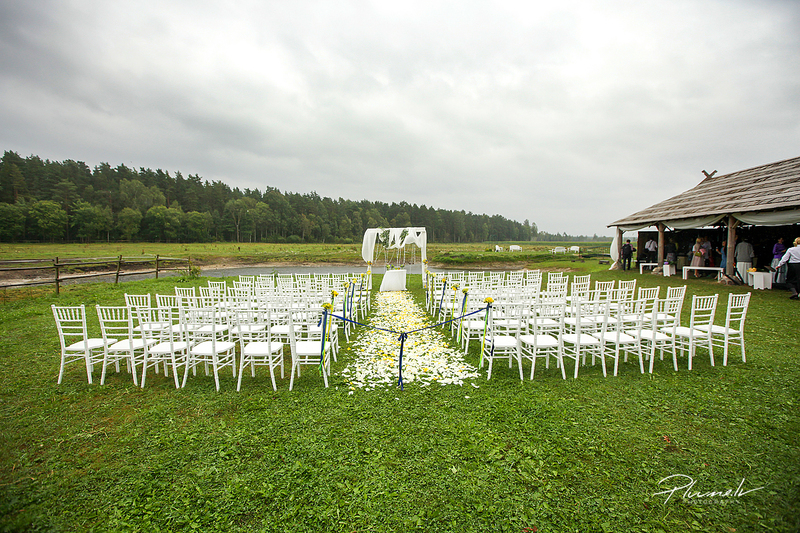 We are only 14km away from Riga center and the taxi will get you were ever you need. 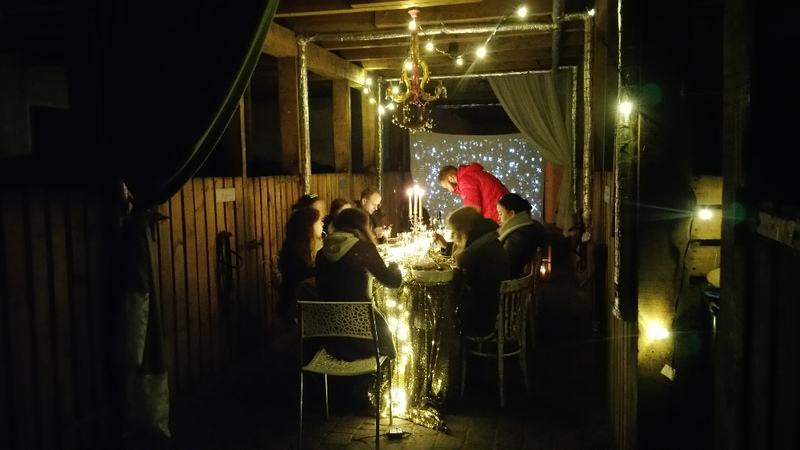 For this kind of an occasion a very good choice is a pop-up restaurant. 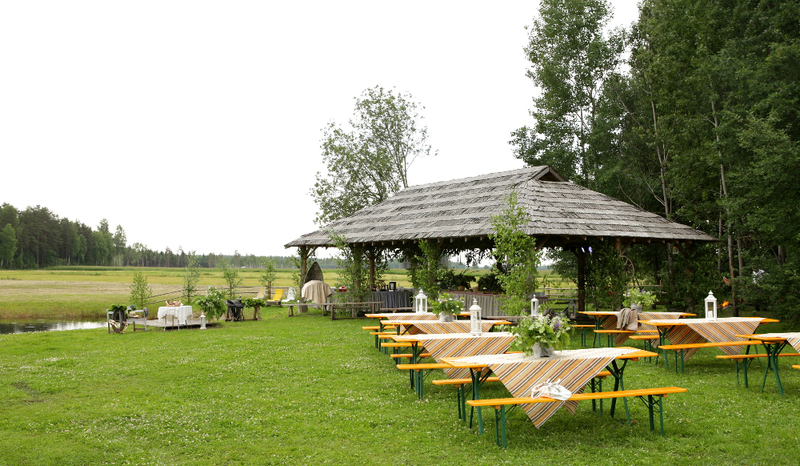  We can offer restaurants, that are our partners. 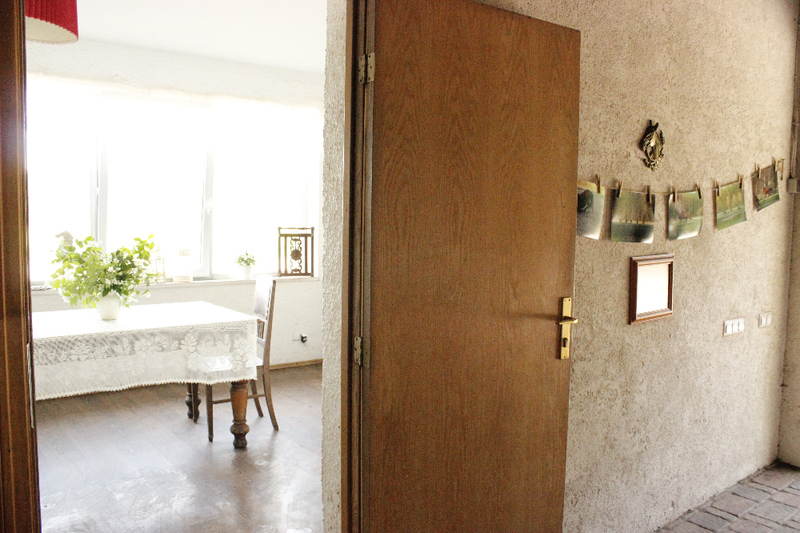 300 m² big rubble masonry house with big windows next to the forest. 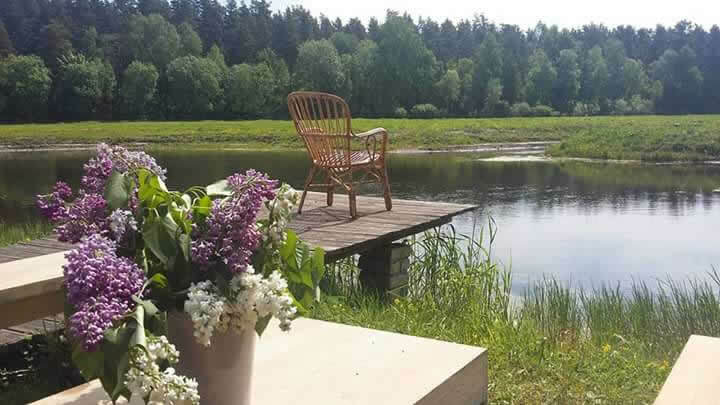 Complete silence from everyday rush and hurry. 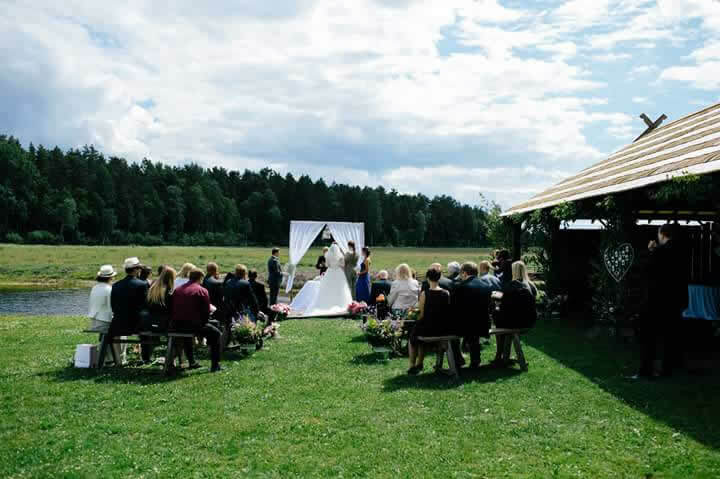 Only meadow, forest, beautiful view and your guests. 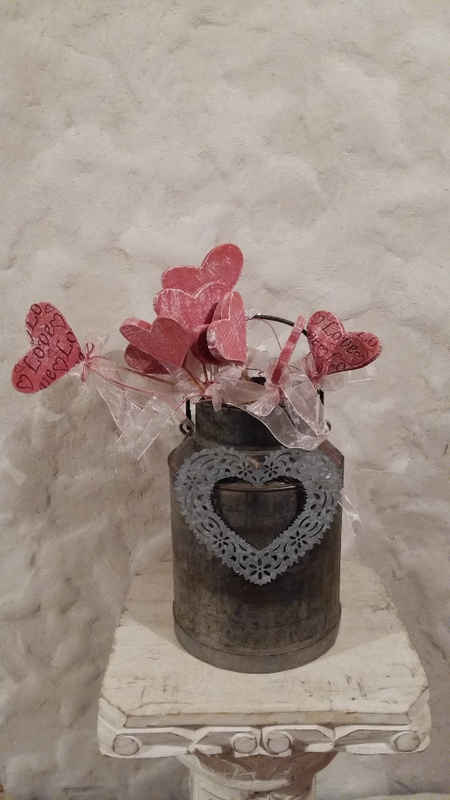 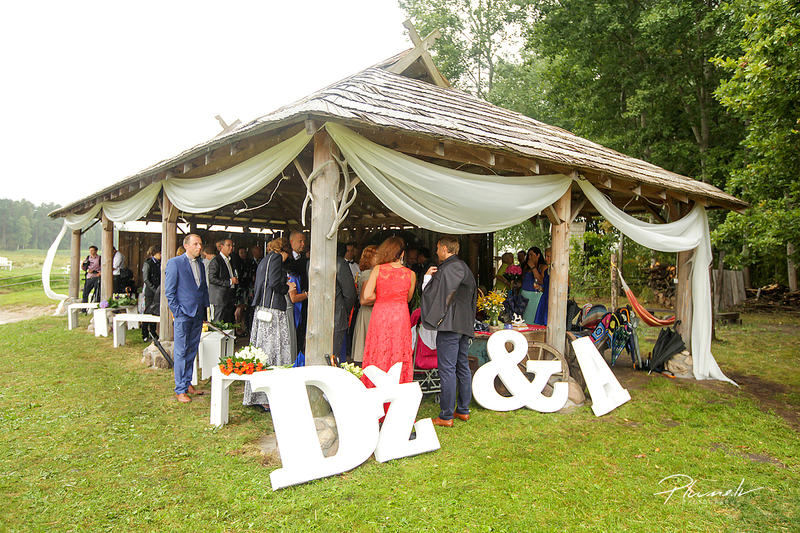 100 m² big romantically designed bower located next to the forest and pond, is a great place were to spend time with your friends, celebrate a birthday party or just have a barbecue. 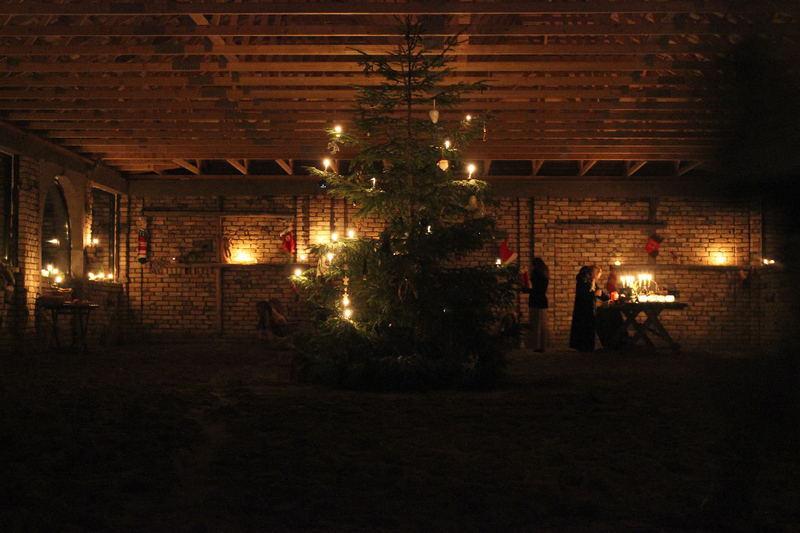 Next to the bower, we have a fireplace and barbecue. 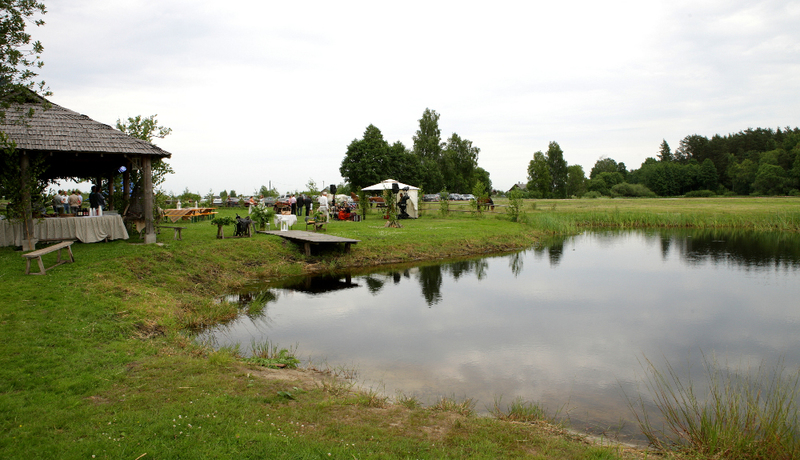 Well suited up meadow full of shamrock and other meadow flowers, bower, island, a small bridge to the island, swing and a pond. 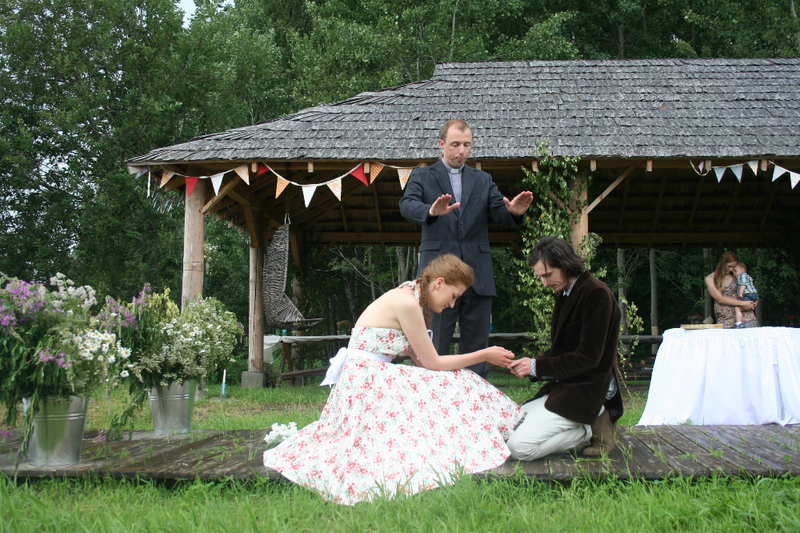 For a measure in the meadow, we don’t have a limited number of guests. 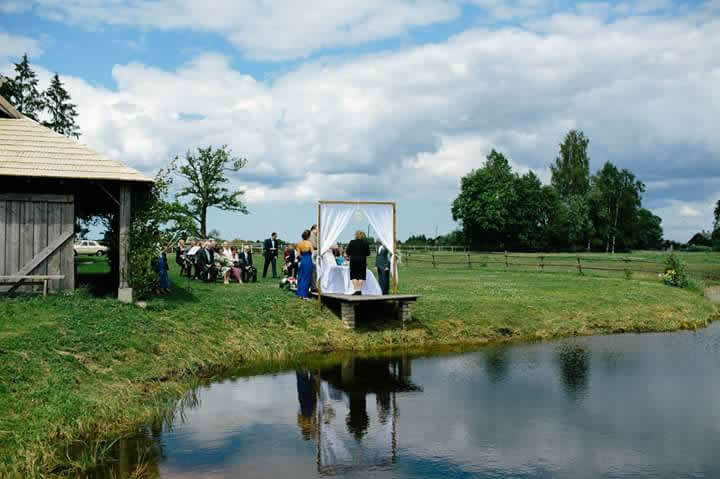 We often have measures that have few hundred people. 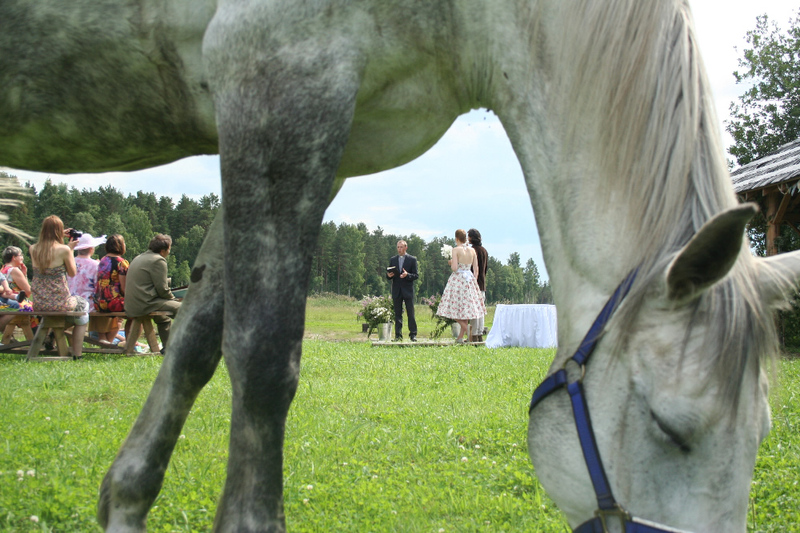 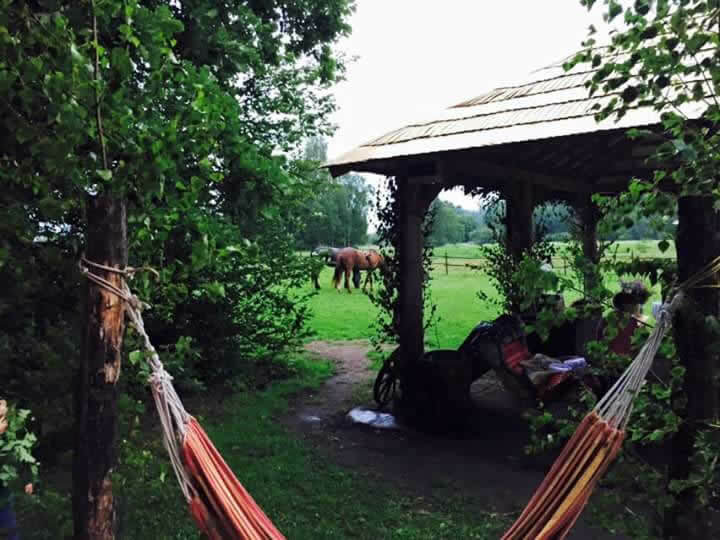 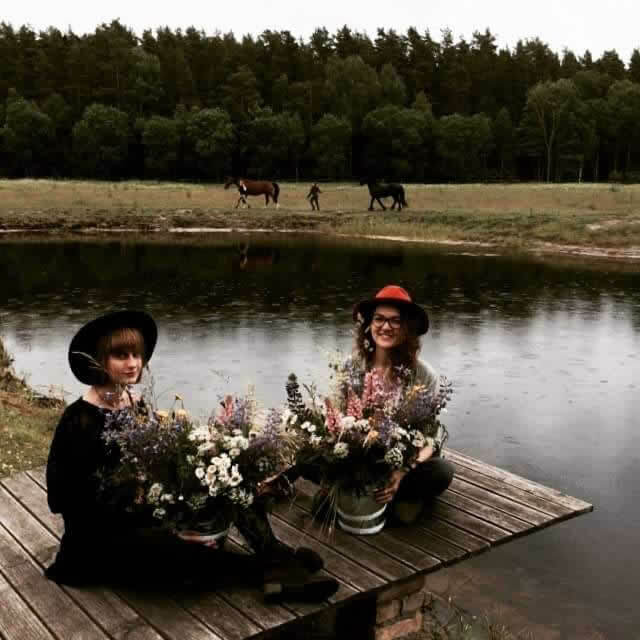 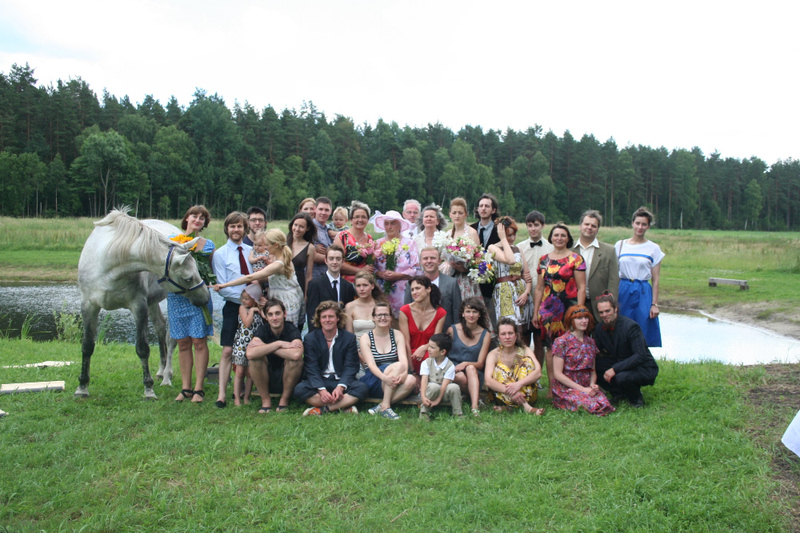 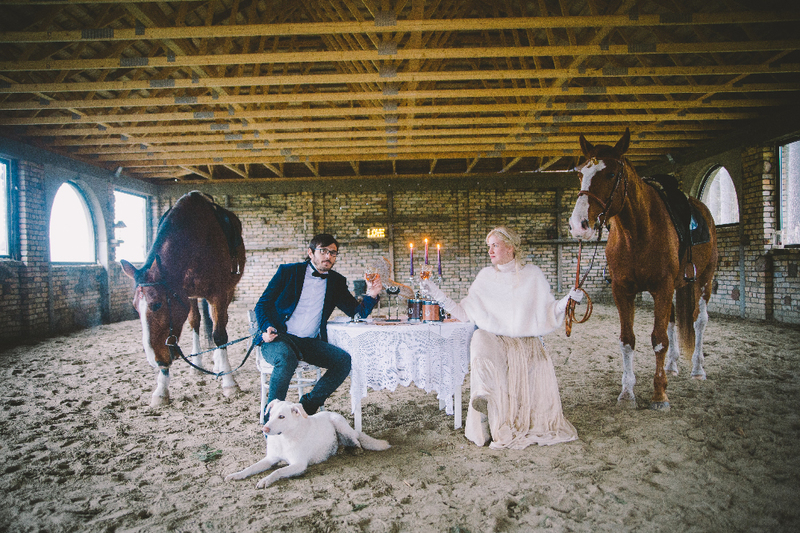 Romantic wedding ceremony, birthday party, photoshoot or just a picnic at the sunset, that’s what you can do on our small island, that is surrounded by horses and nature. 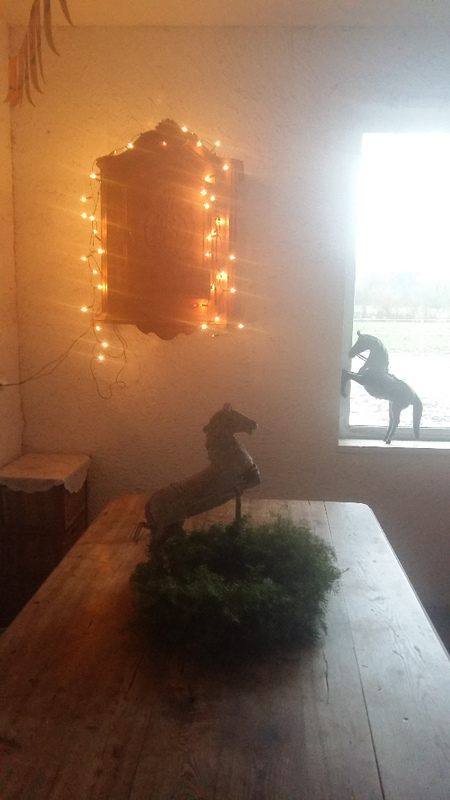 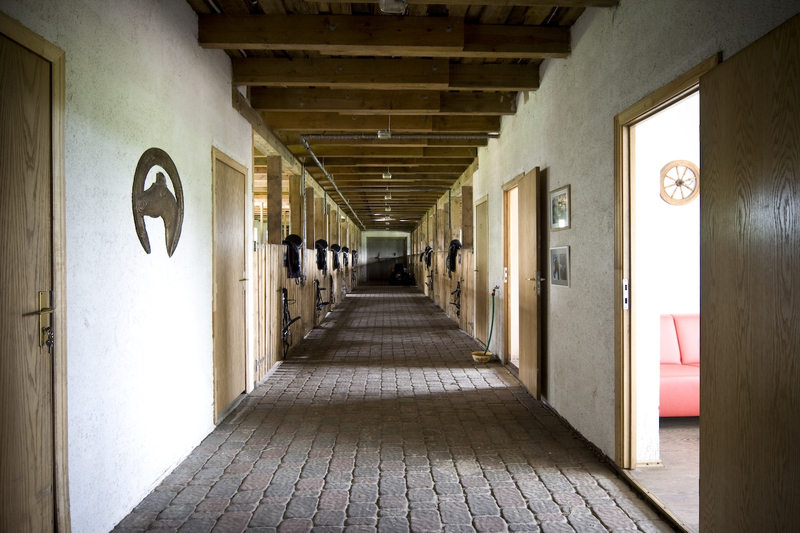 When the cold season hits and you don’t want to be outside all the time, we can offer a guest room in the stable. 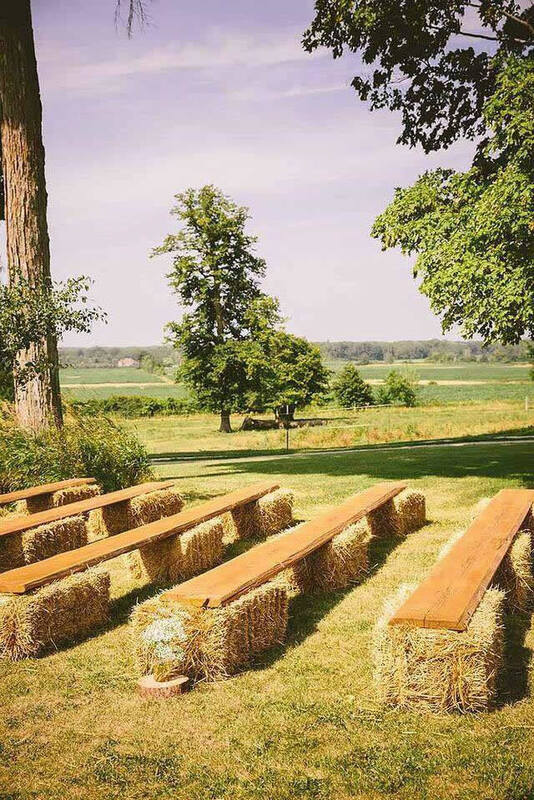 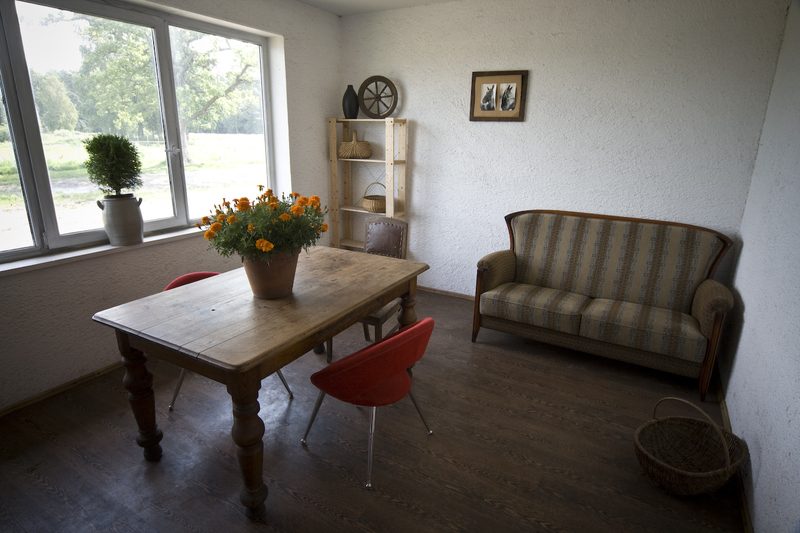 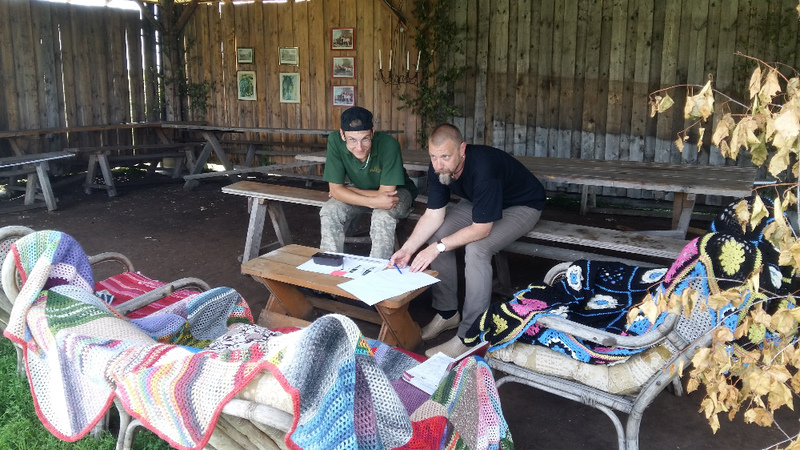 It is 20 m² big and we can arrange and design the room according to your wishes – tables, chairs, pillows on the floor, hay bales or leave the room empty. 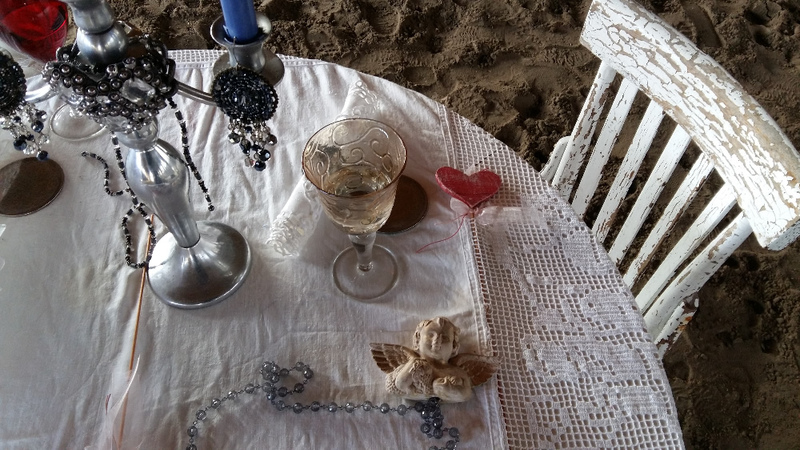 According to your desire. 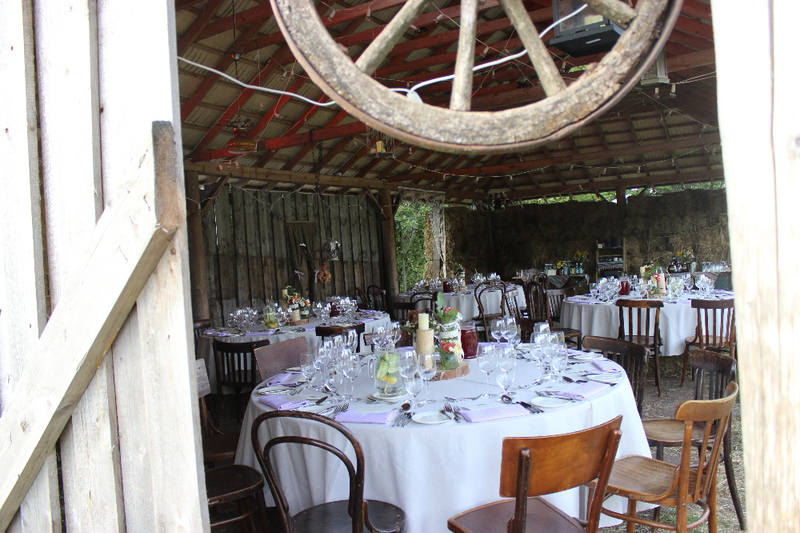 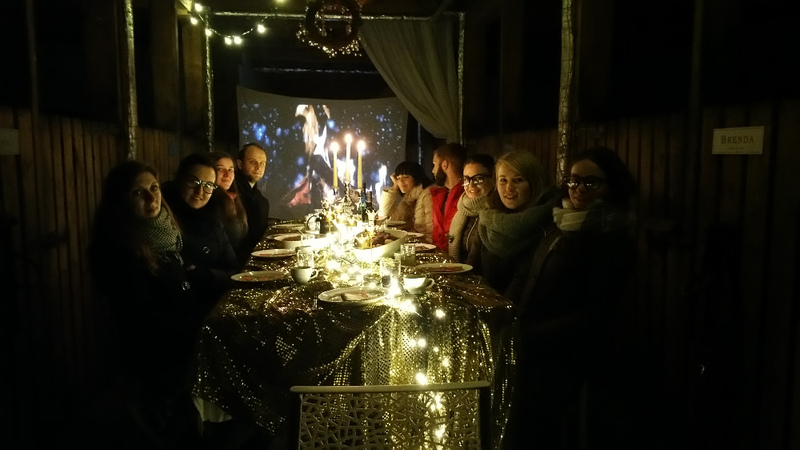 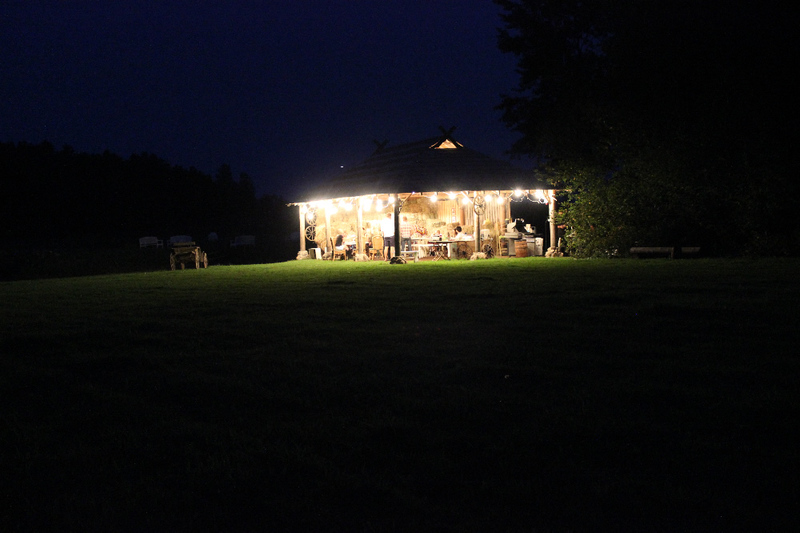 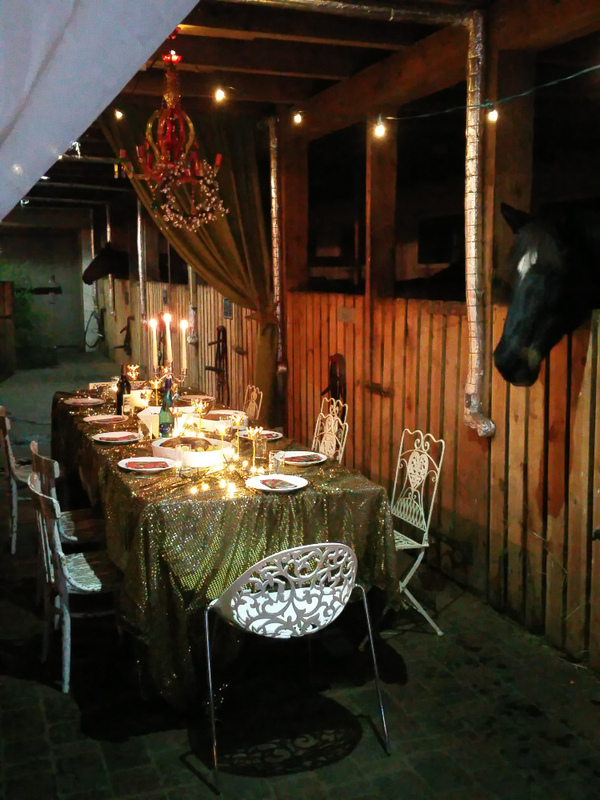 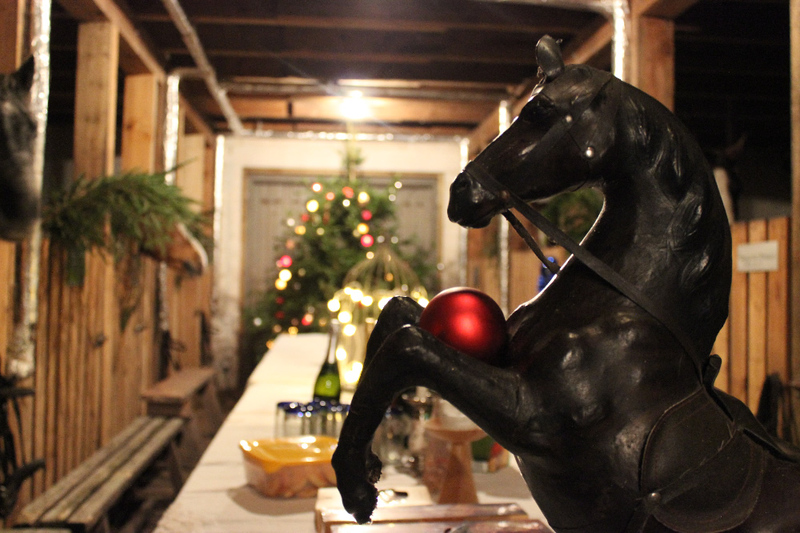 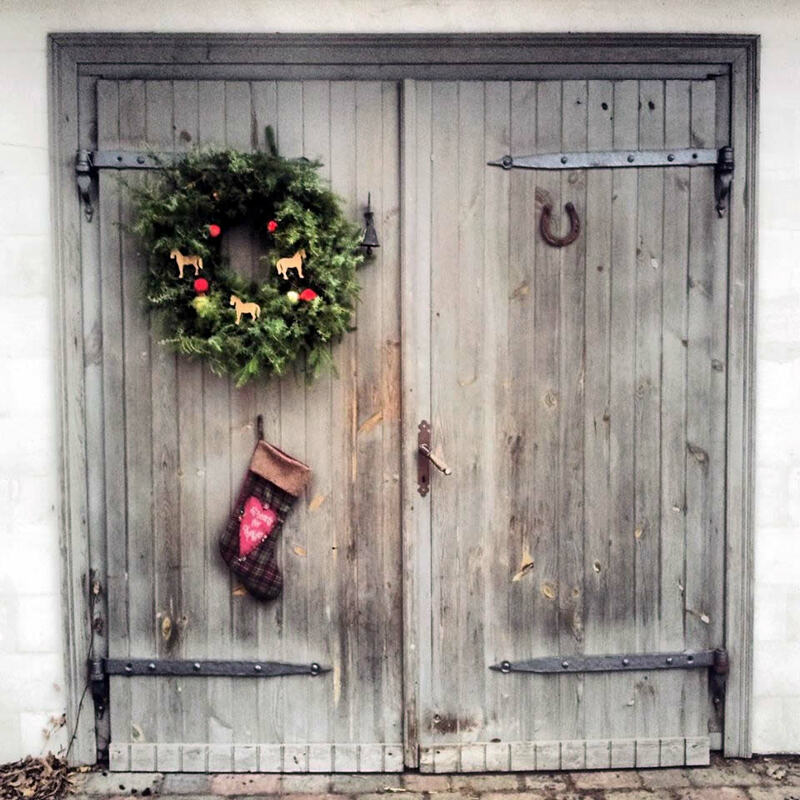 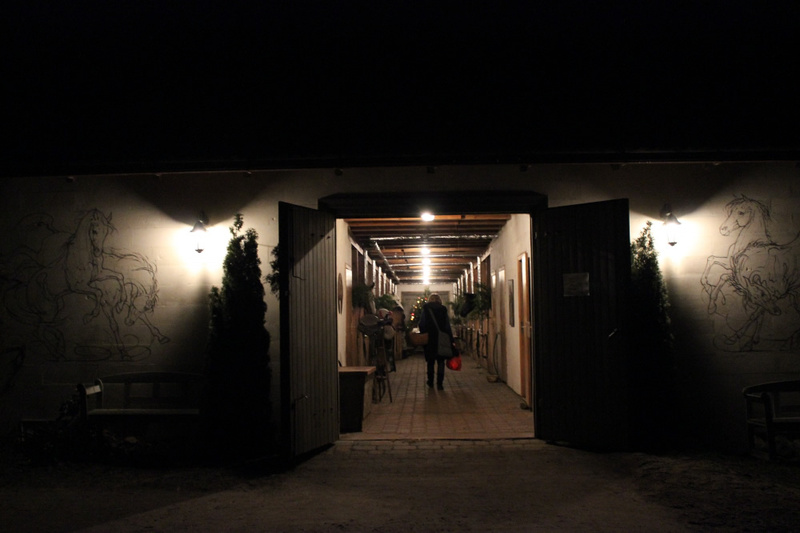 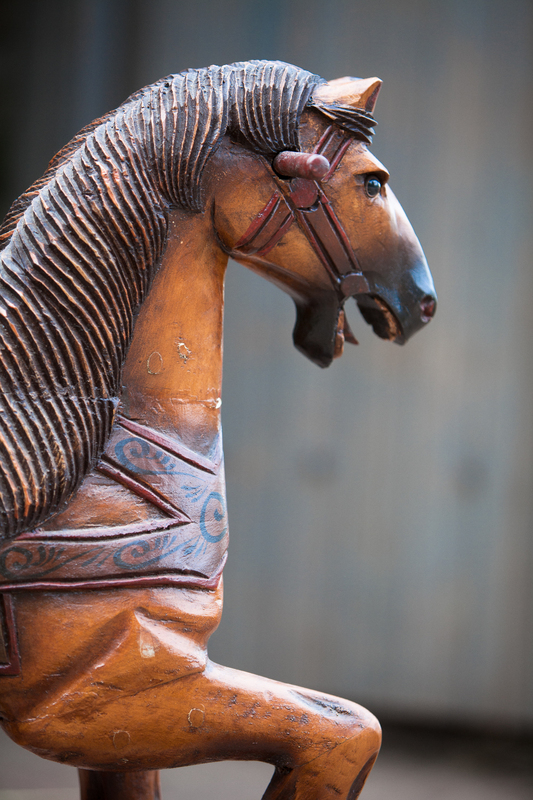 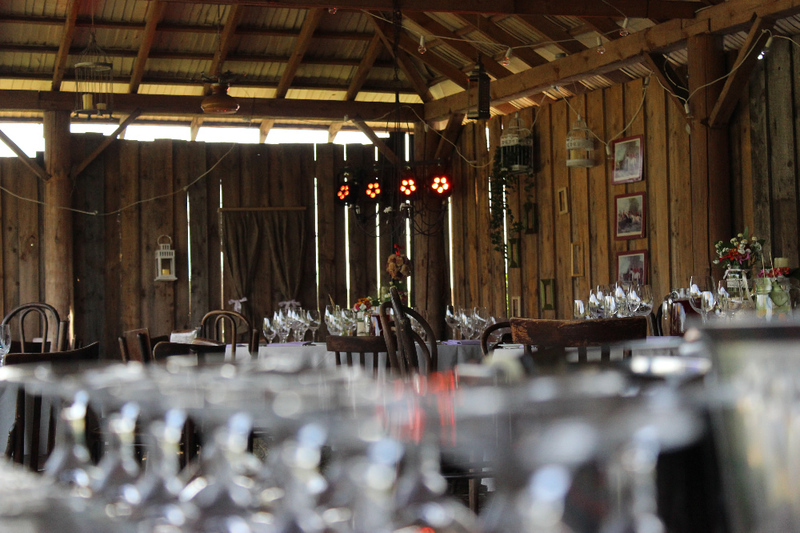 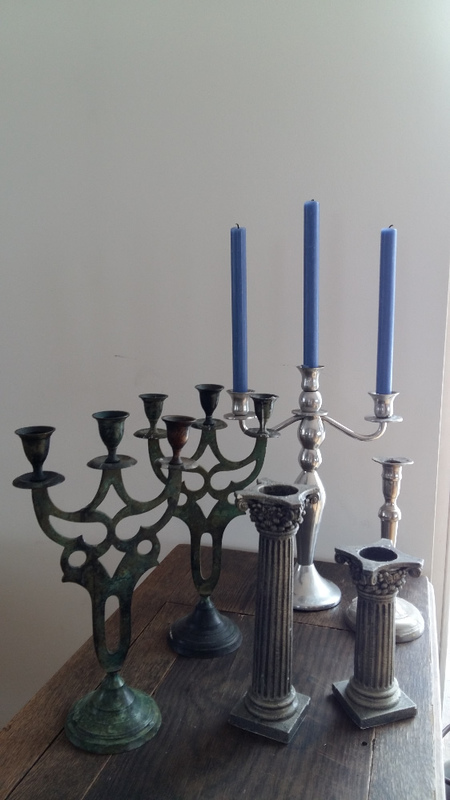 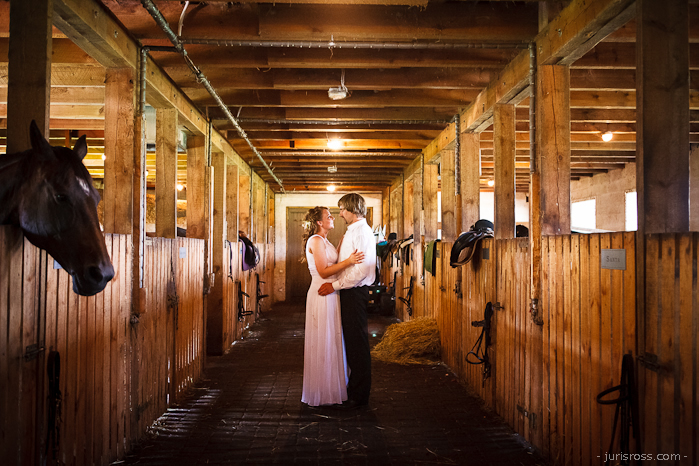 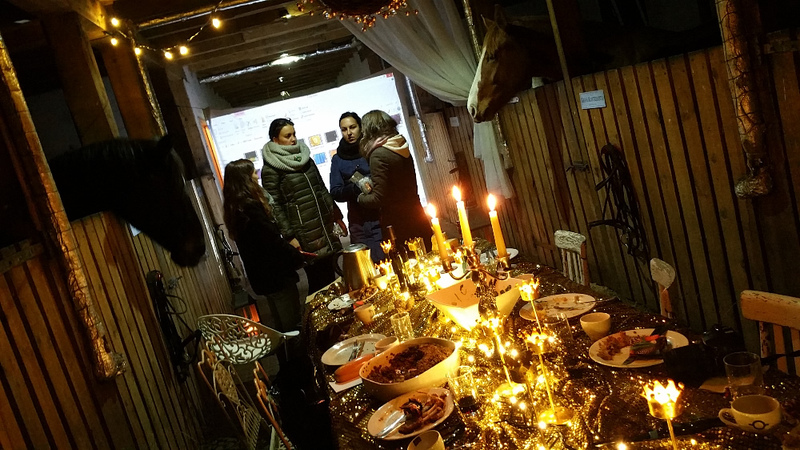 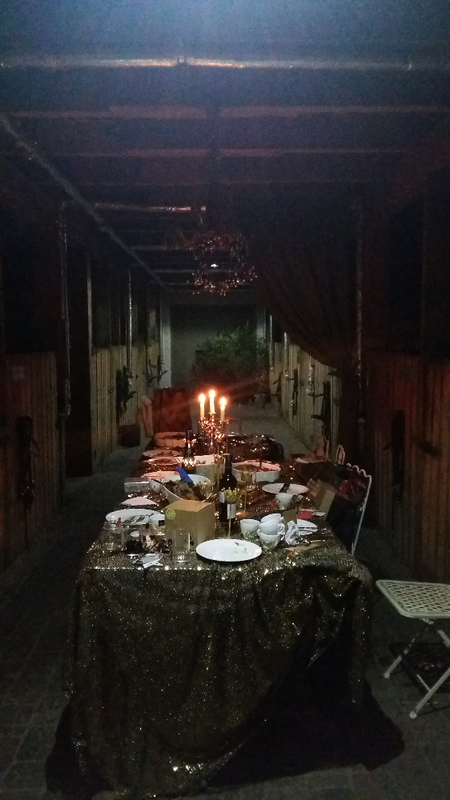 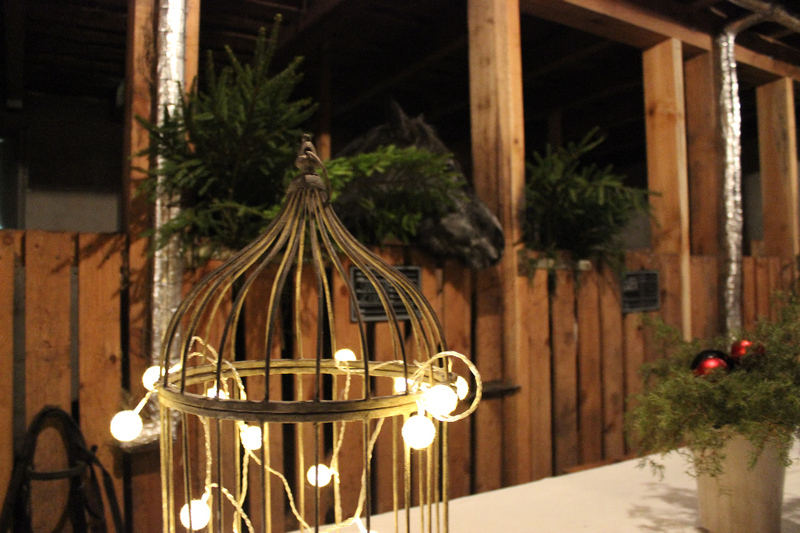 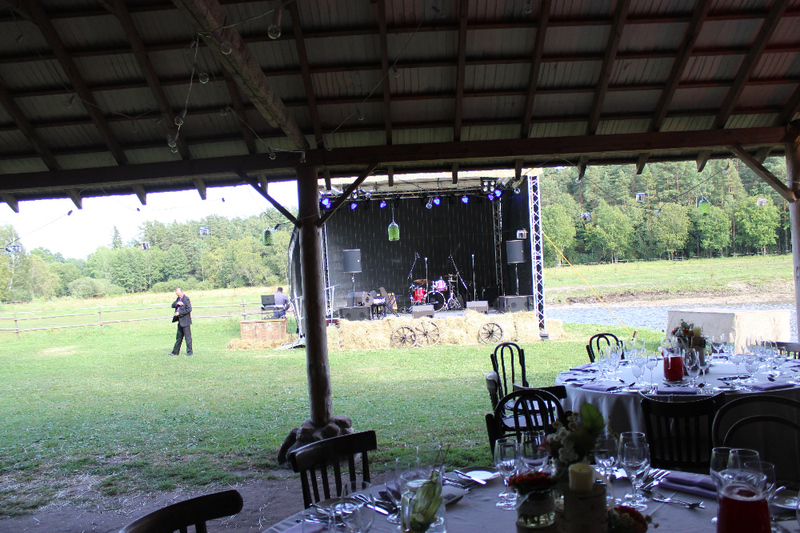 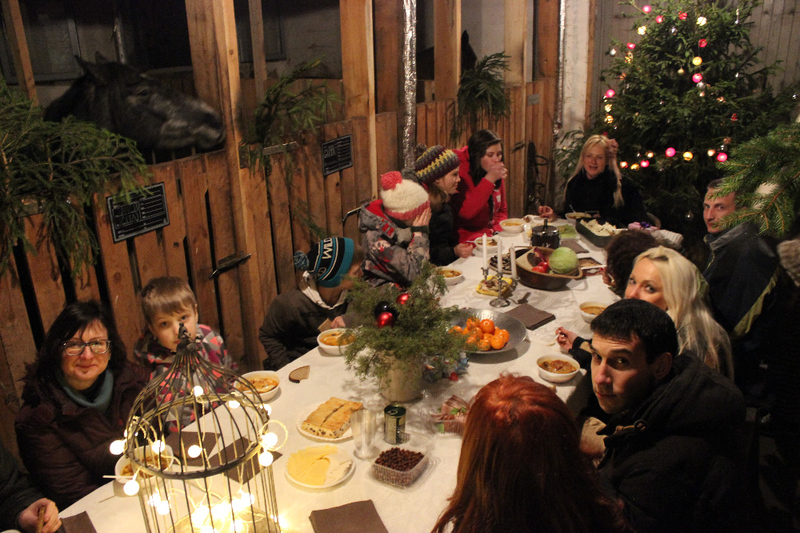 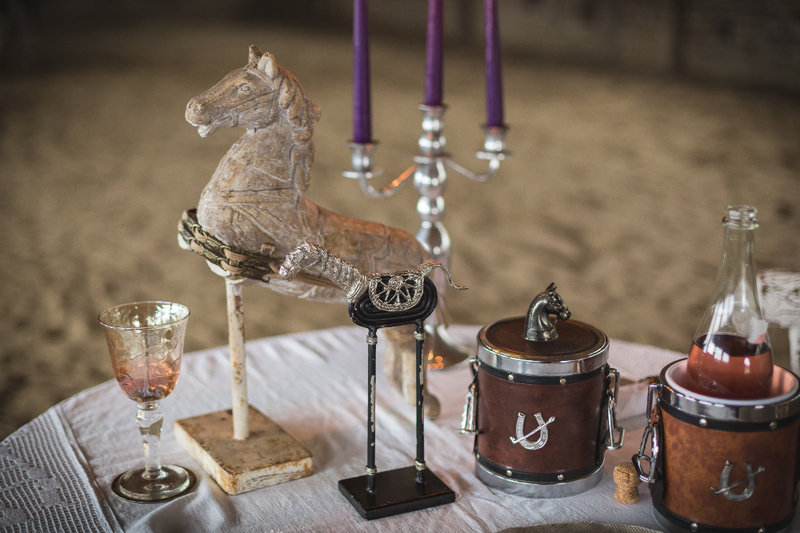 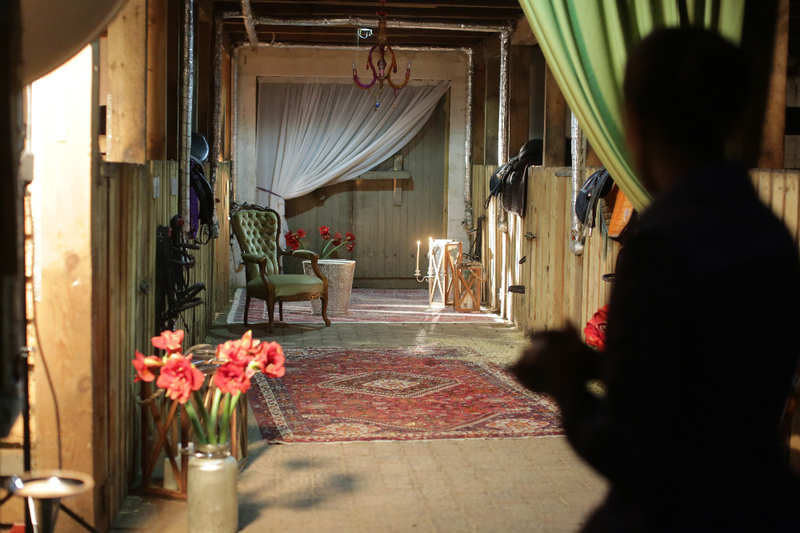 For untraditional event lovers, we can offer the stable for a dinner, presentation or for any your chosen event. 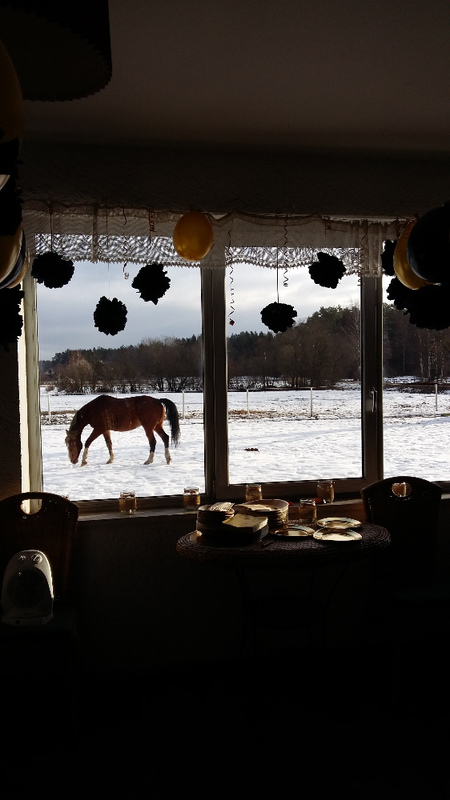 When all the horses are inside the view at the stable is impressive. 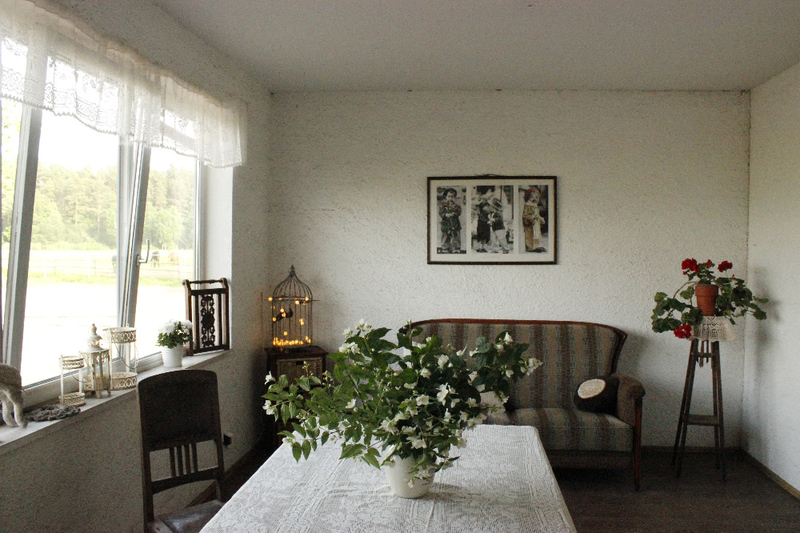 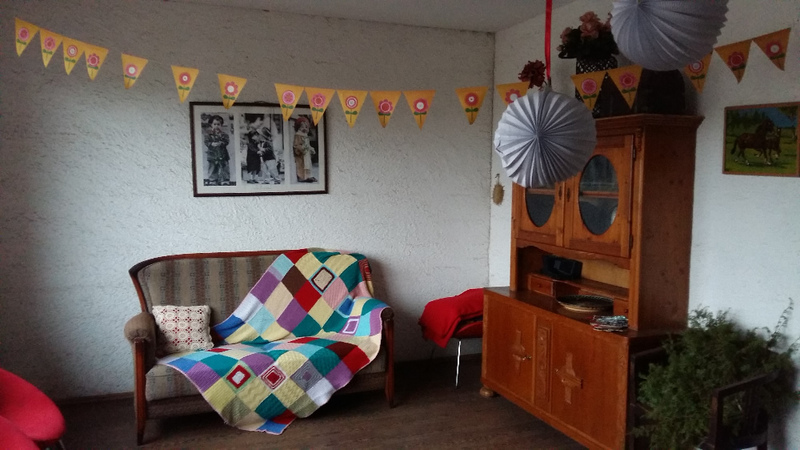 Guest house wiht steam bath, small and cosy for family weekends or partys for 20 people. 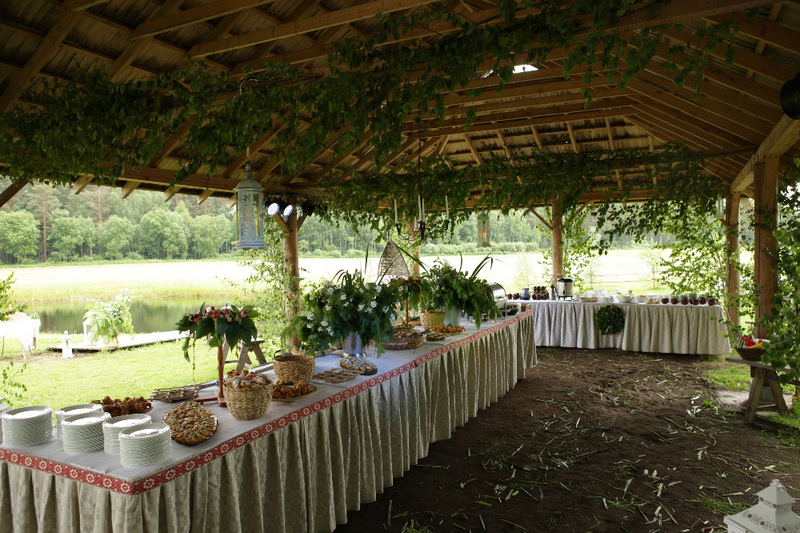 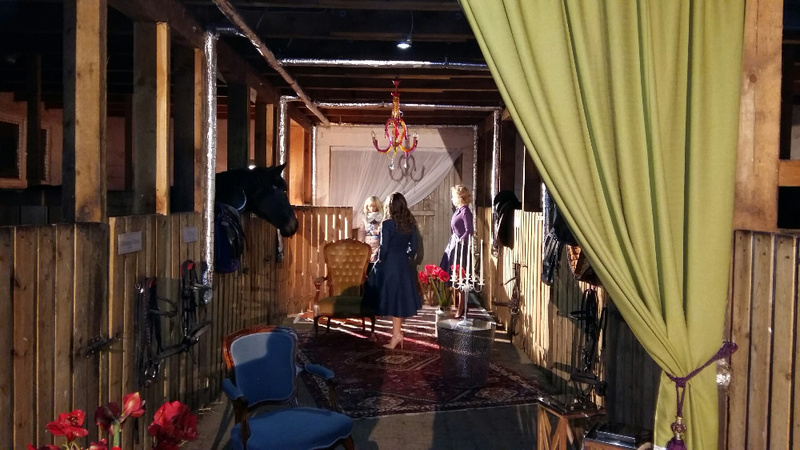 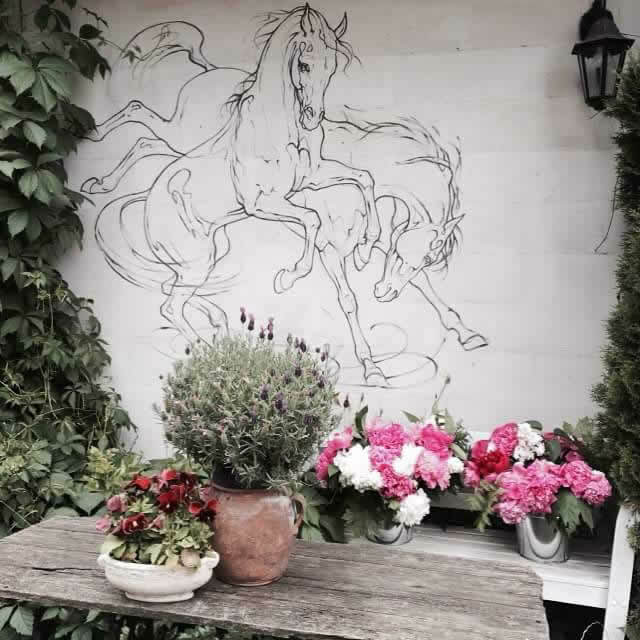 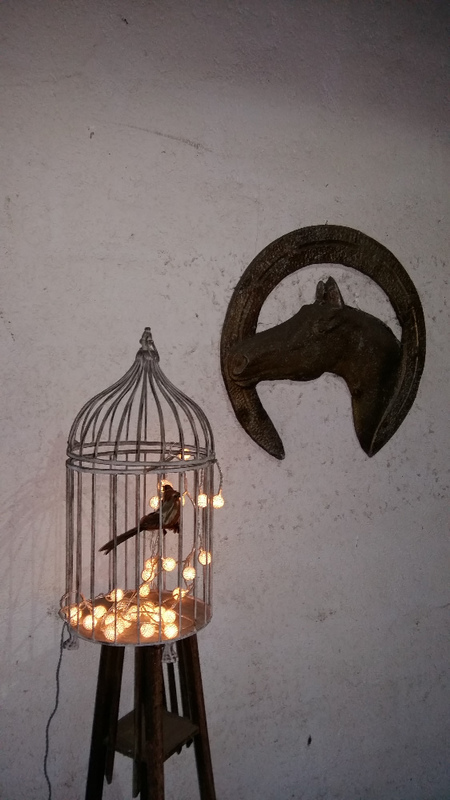 We offer decoration rent for events at our stable or somewhere else. 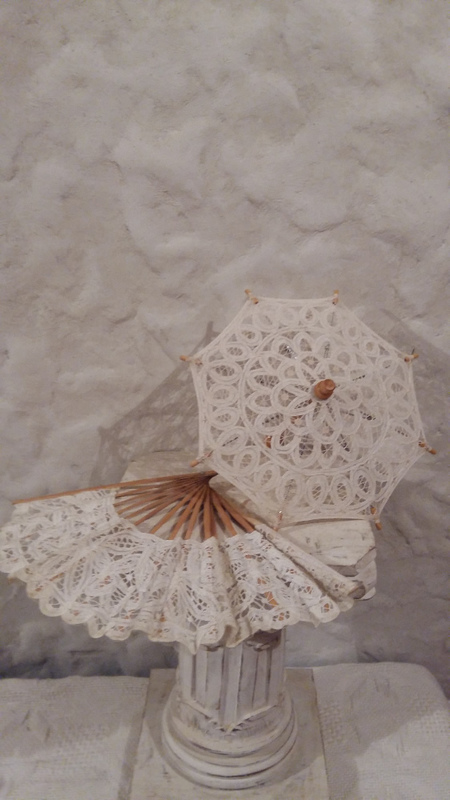 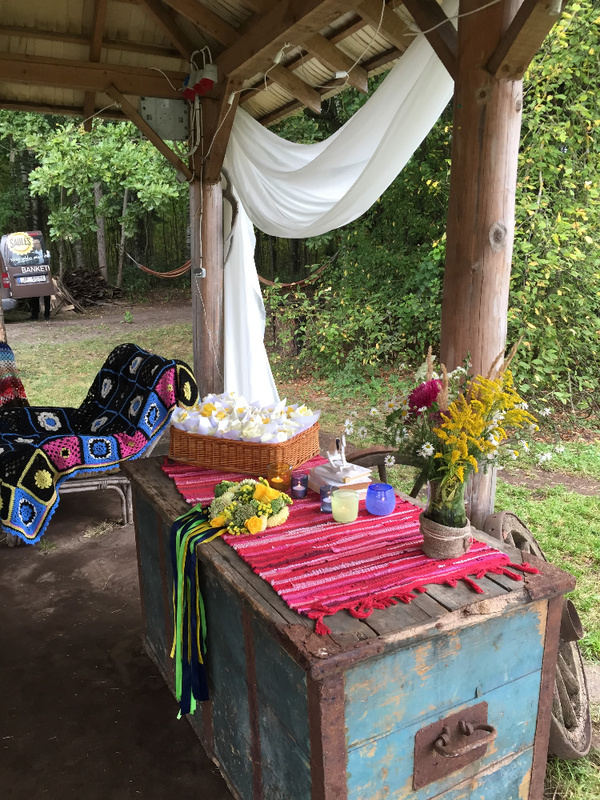 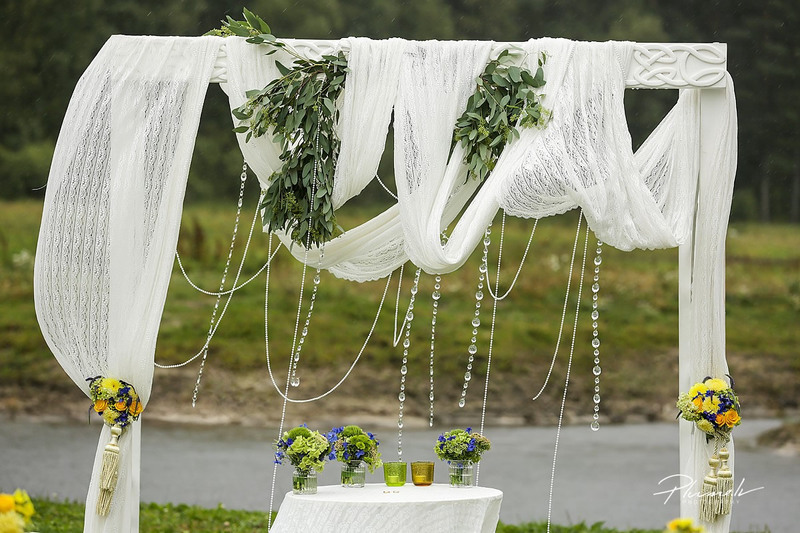 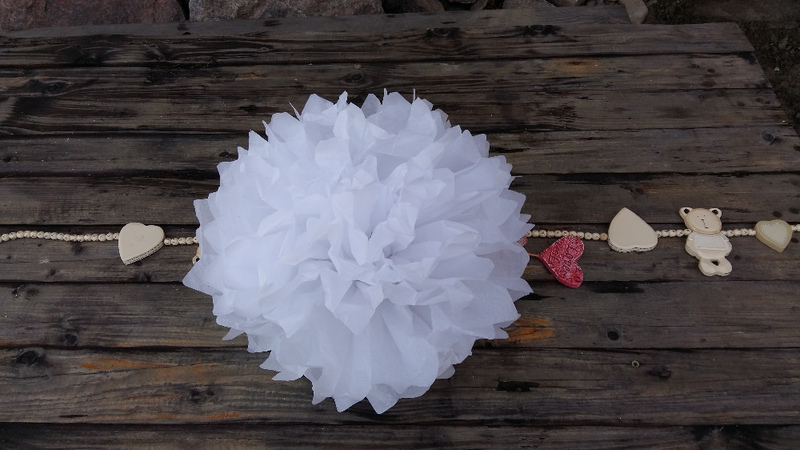 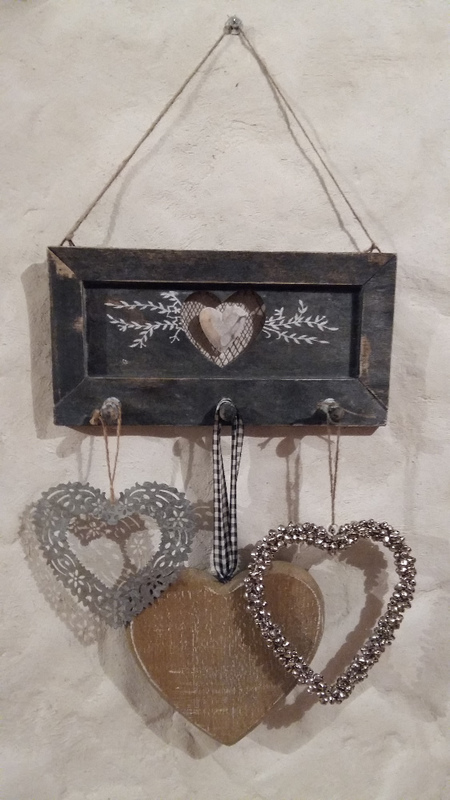 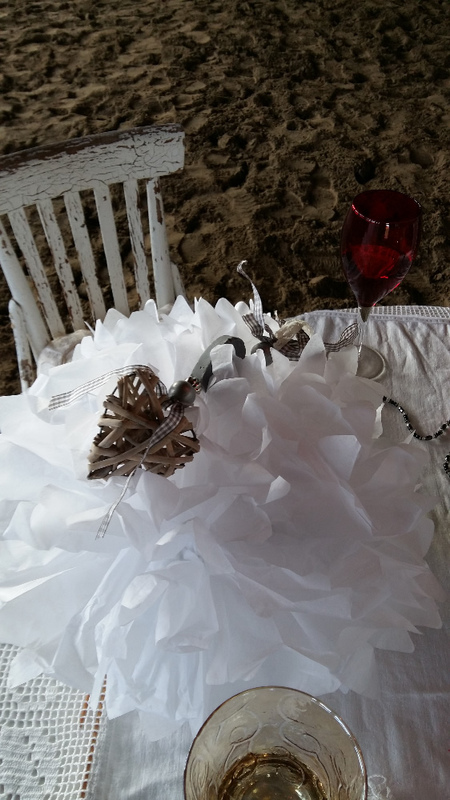 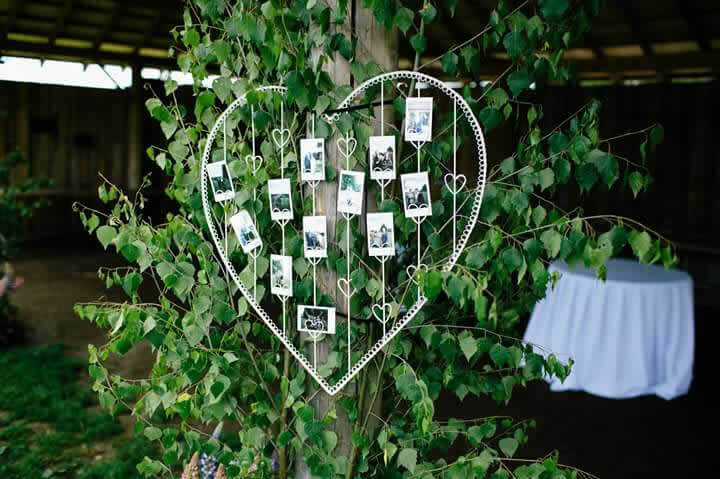 In the pictures- arch for wedding ceremony, hay bales for site placement, different design objects (dishes, blankets, tablecloth, light garlands).